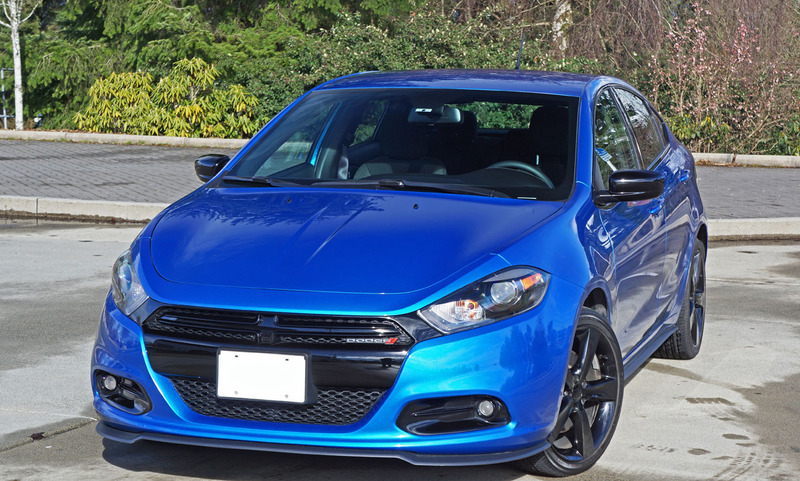 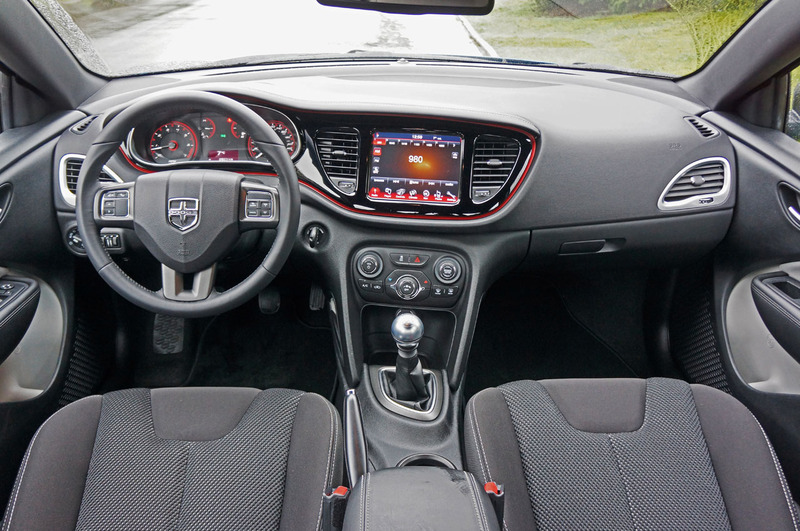 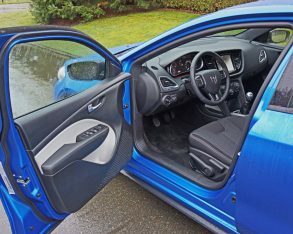 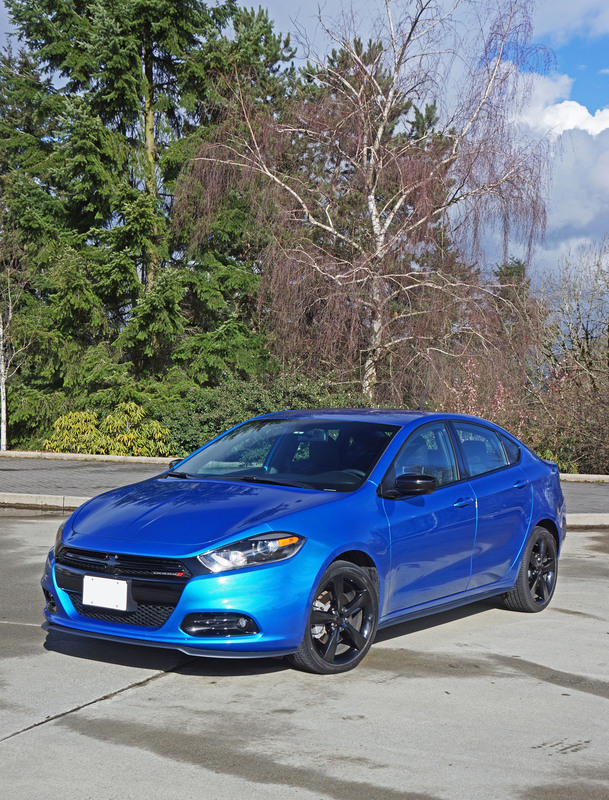 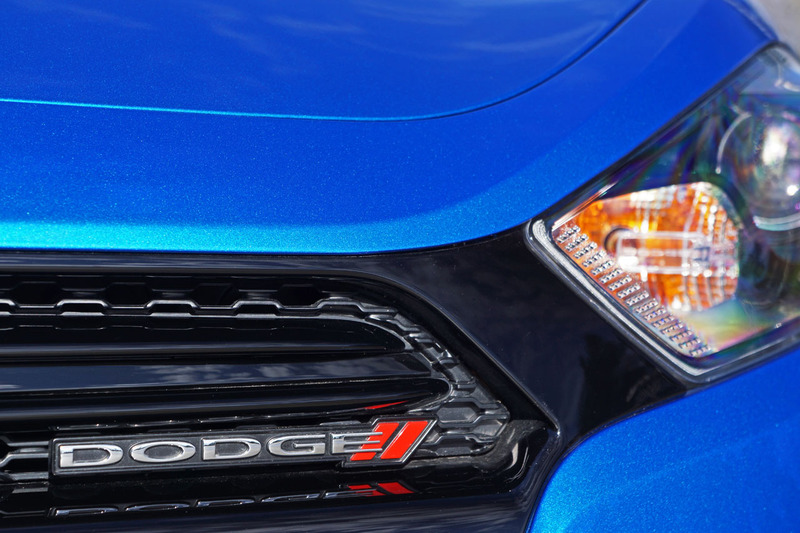 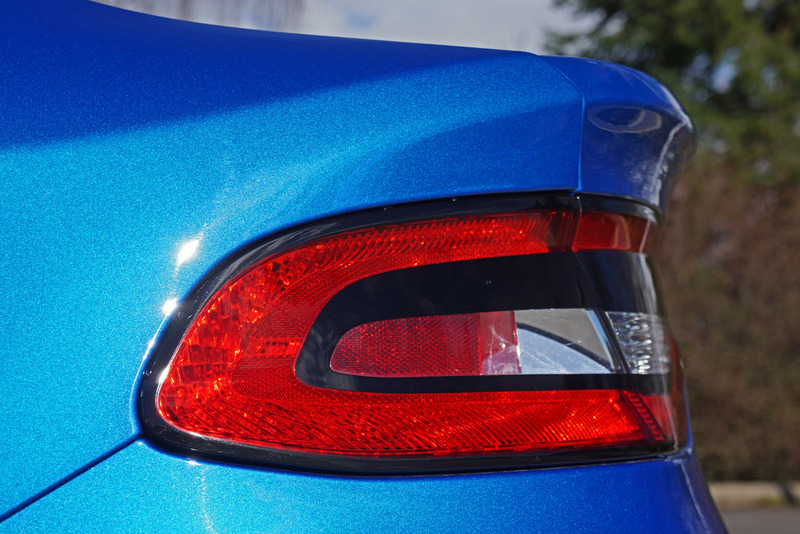 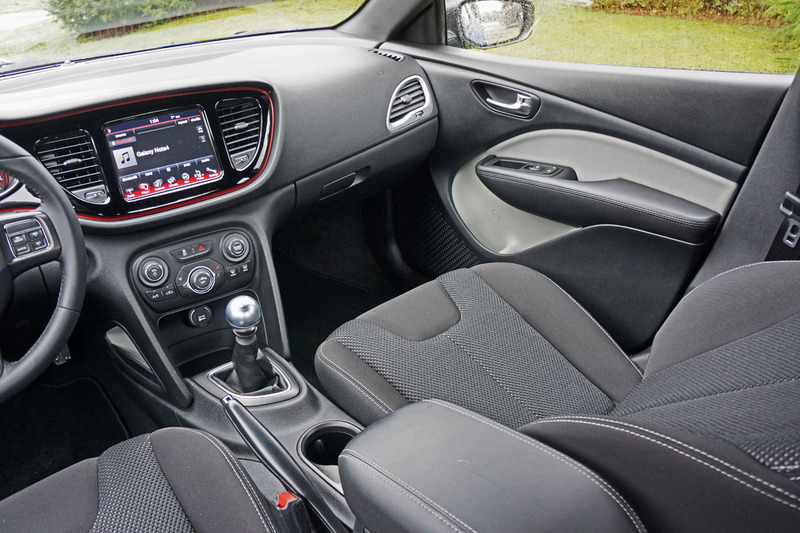 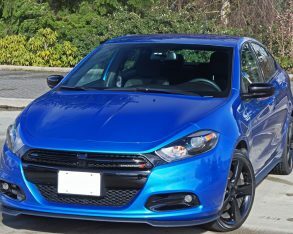 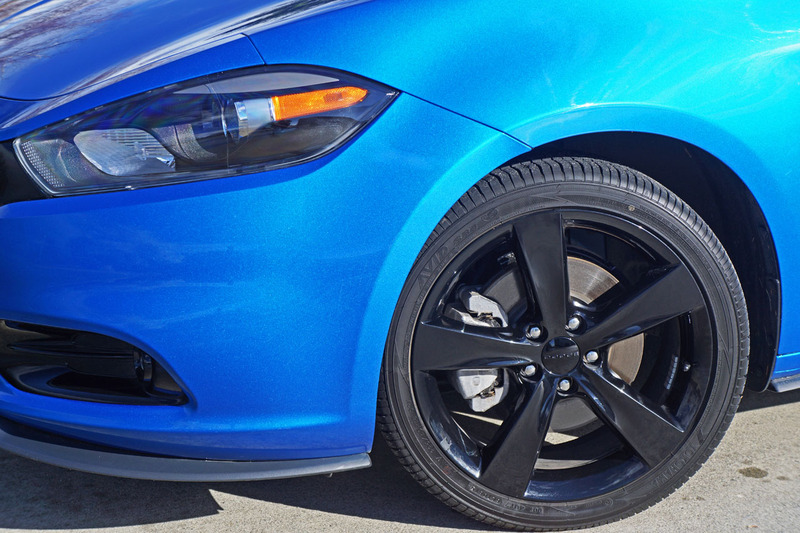 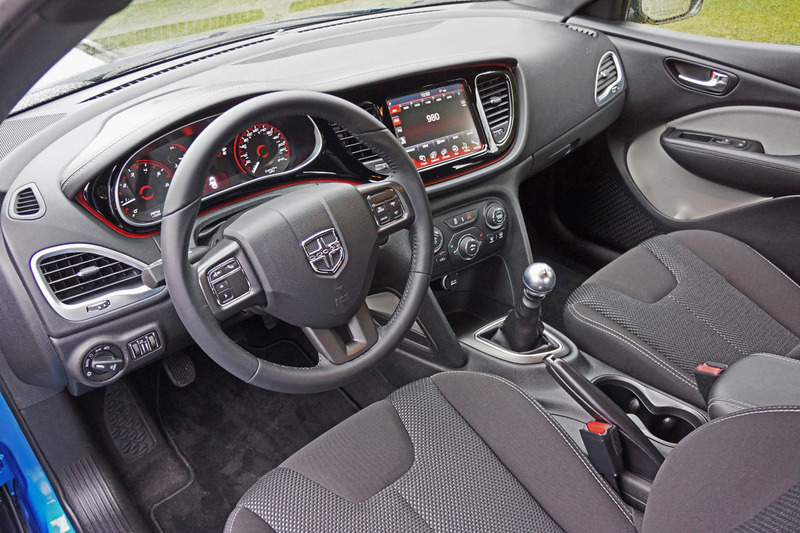 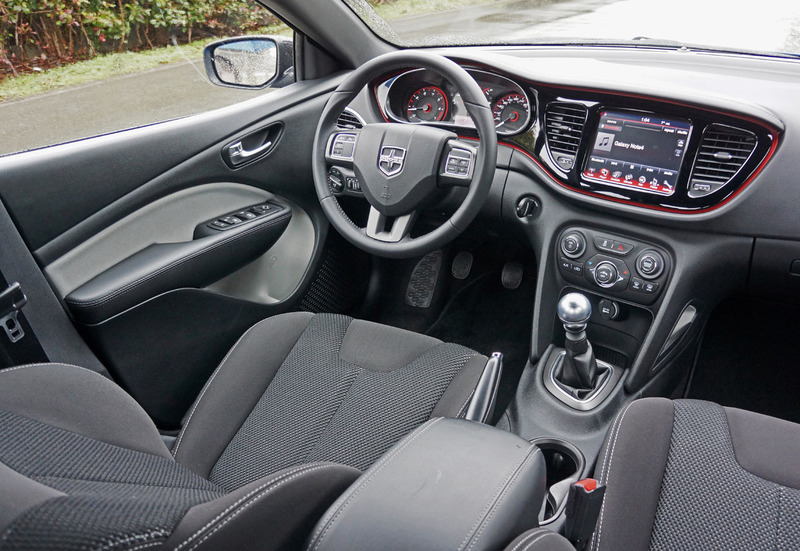 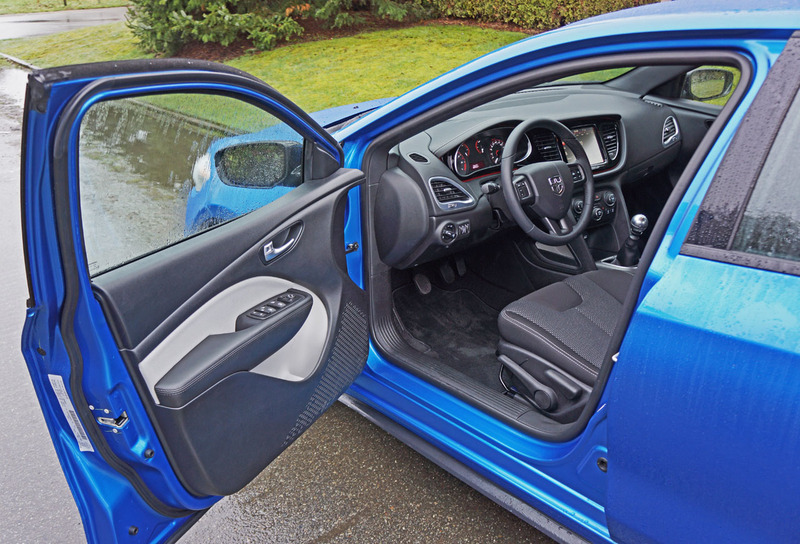 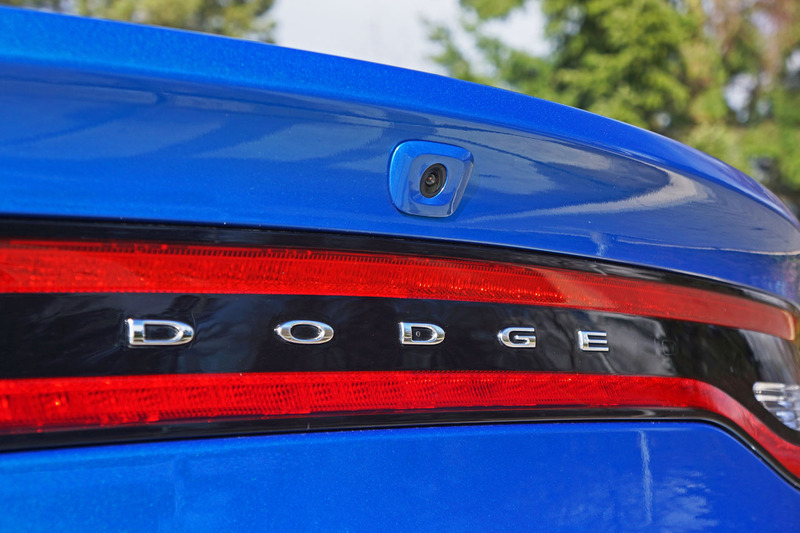 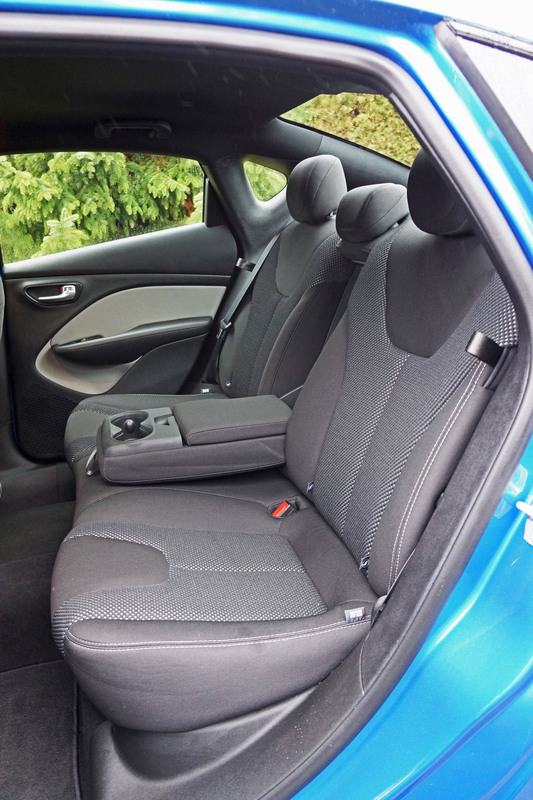 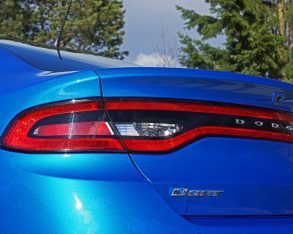 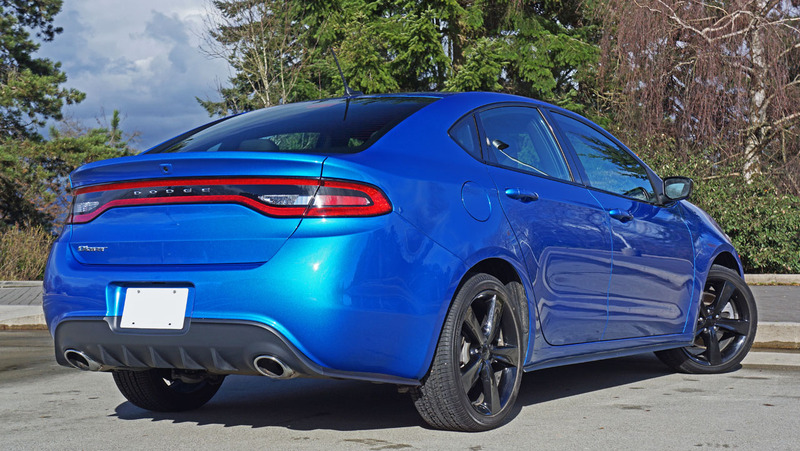 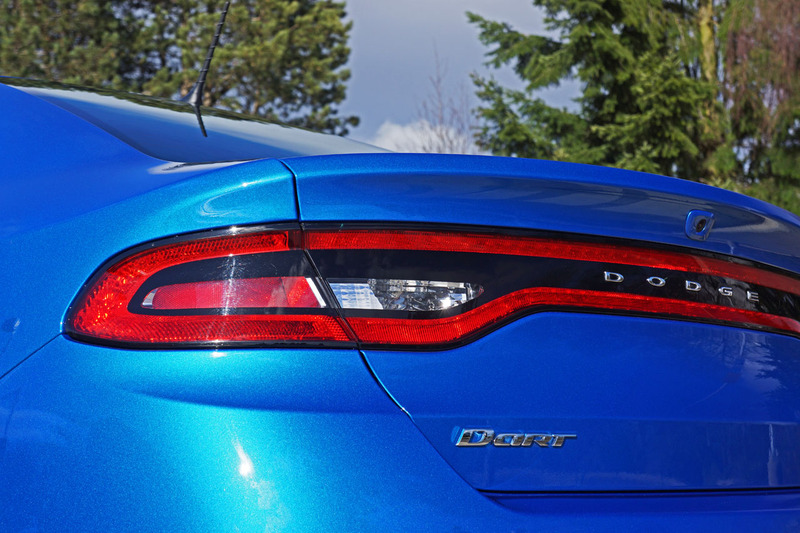 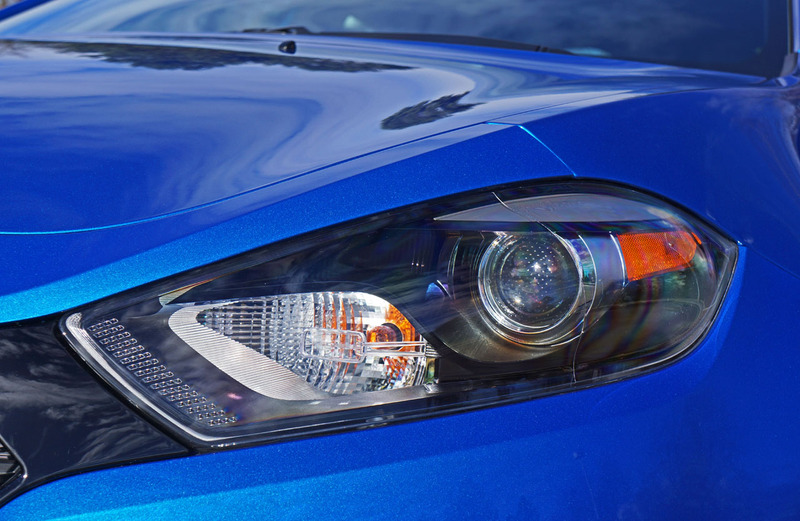 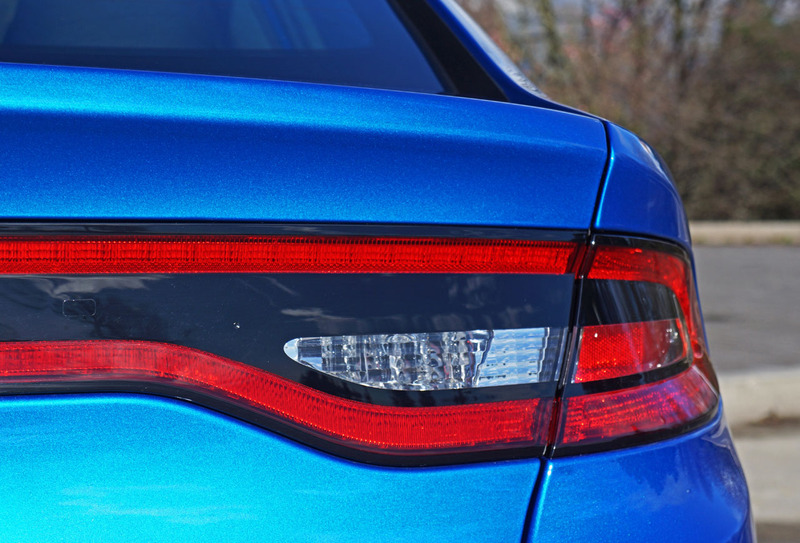 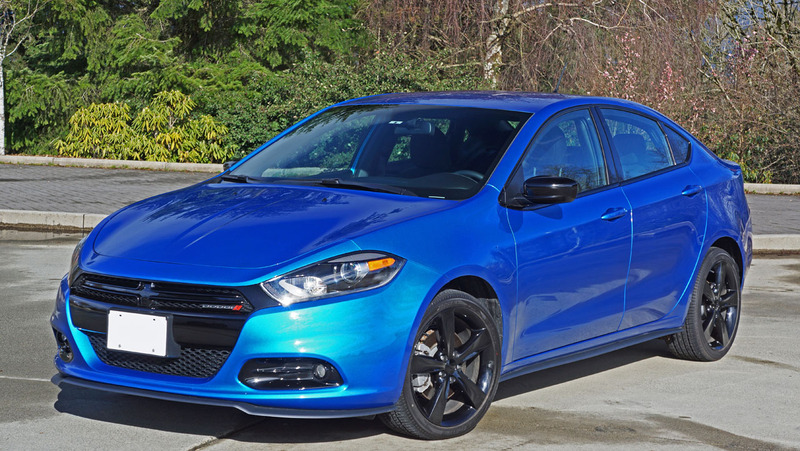 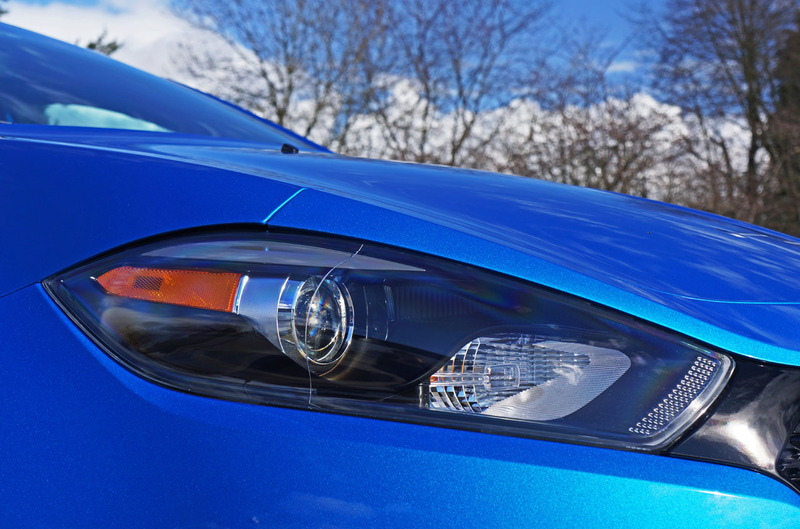 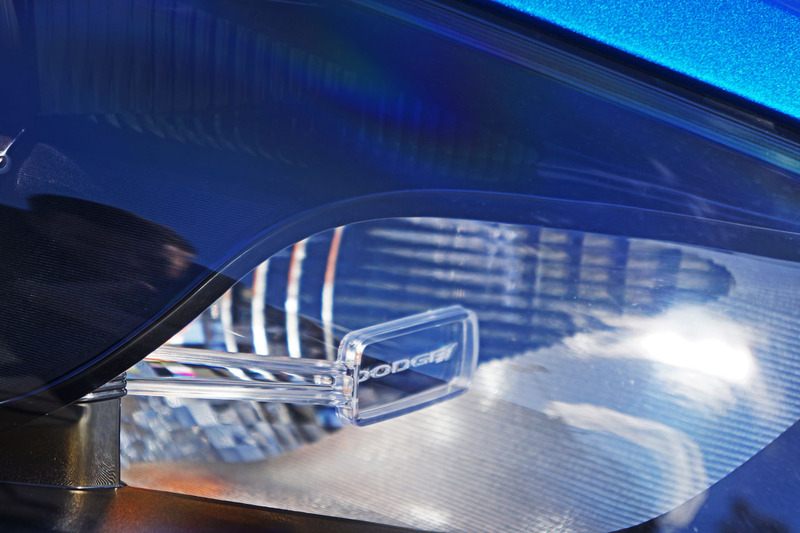 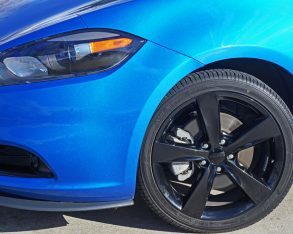 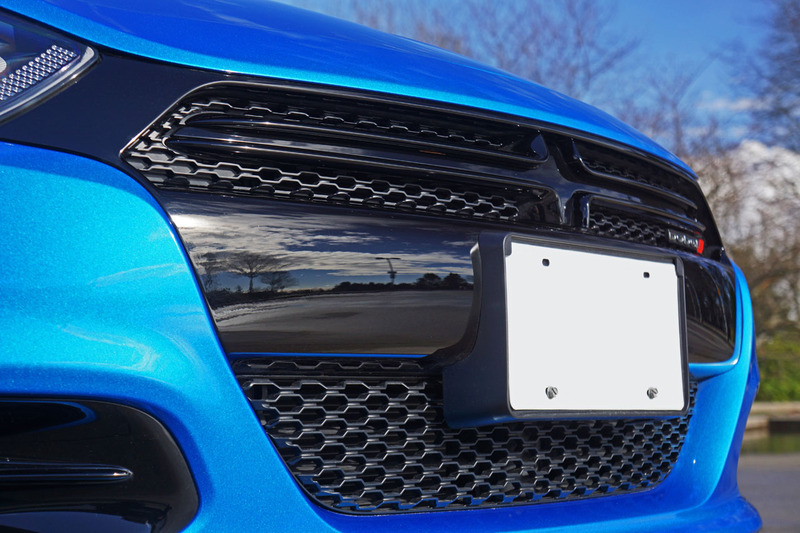 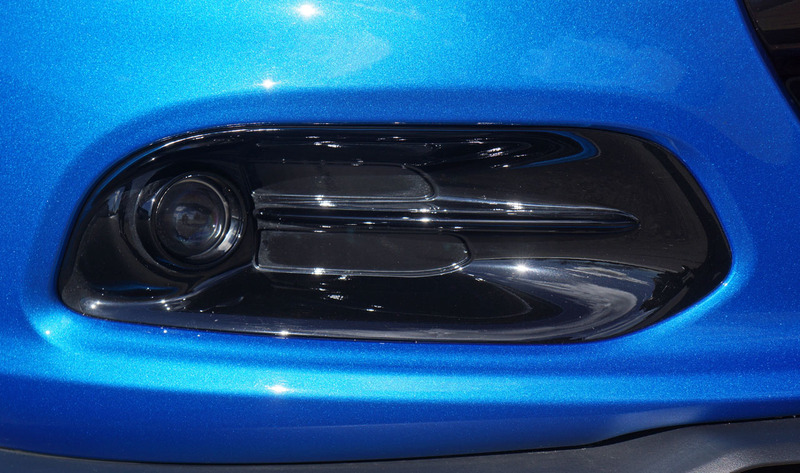 a scenario that’s getting played out once again with the fun-loving Dodge Dart. 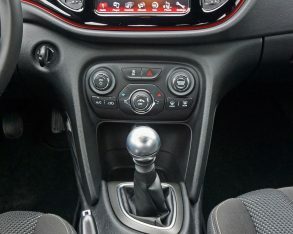 legendary Italian performance brand, Alfa Romeo, which kindly donates the compact Giulietta’s revered underpinnings to the American model in an attempt to make this latest Dart a winner on the sales charts. 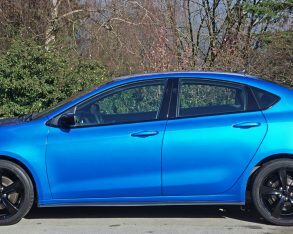 Unfortunately the opposite is true, the Dart barely feeding on the scraps left over by the bestselling Honda Civic, Toyota Corolla and Hyundai Elantra. 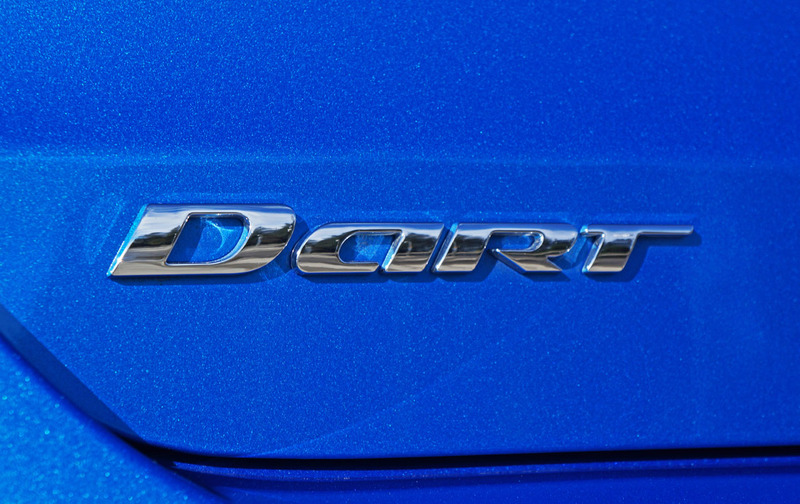 I’m not exaggerating, as only 3,061 Darts were sold across Canada during all of 2015, the three top sellers managing 64,950, 47,918 and 47,722 in the same market. 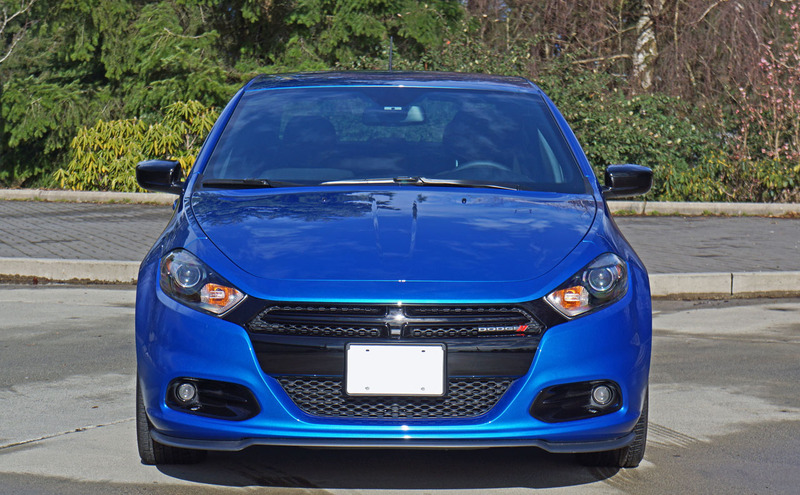 Even Mitsubishi’s aging Lancer sold nearly twice as much at 6,008 units. 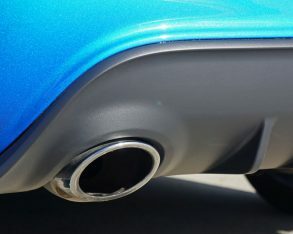 nally because they’re reportedly looking for a partner to build the next generation of small and mid-size cars, Mazda seeming to me like the obvious fit being that the two automakers already share a relationship with the new MX-5 and Fiat Spyder, plus the 3 and 6 are both excellent cars with a leaning towards performance, they’re very reliable (FCA could use a boost from J.D. 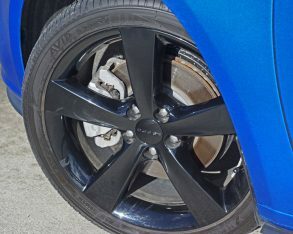 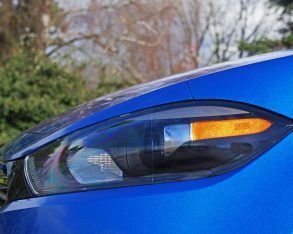 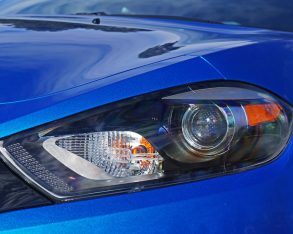 Power, Consumer Reports, et al), Mazda struggles to sell big numbers in North America and the company has already shown a willingness to partner up with numerous manufacturers (along with FCA they’re currently supplying a modified Mazda2 sedan to Toyota for its Yaris Sedan in Canada (Scion iA in the U.S.), and finally Mazda is small, lean and independent enough to be flexible to a big corp like FCA. 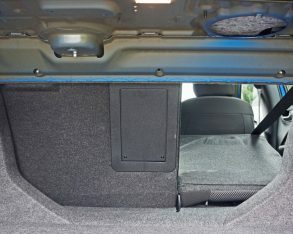 Anyway, that’s just my take on what might work and why, but there are others that could potentially provide donor underpinnings too. 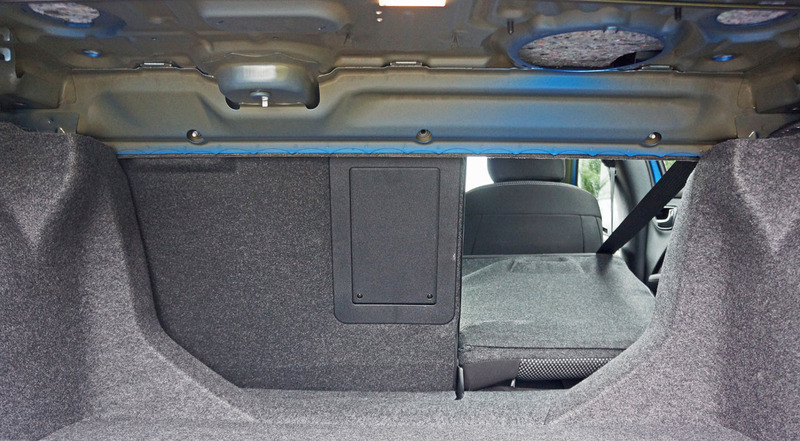 balk at its base price being higher than average at $18,995 plus freight and dealer fees. 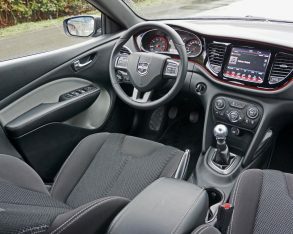 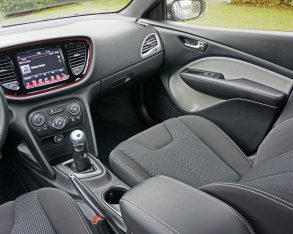 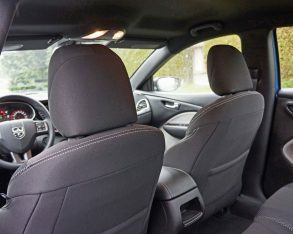 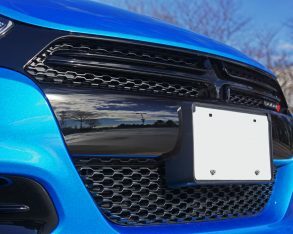 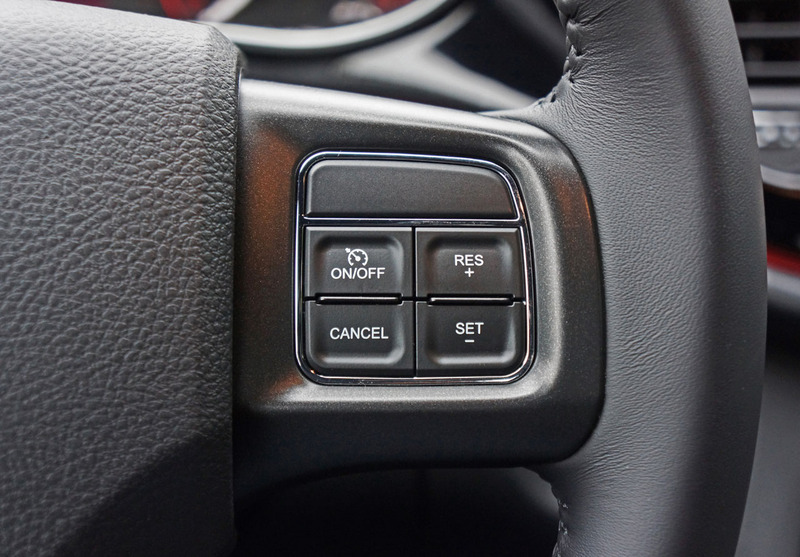 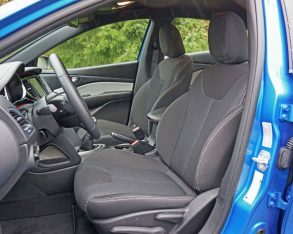 This said plenty in the compact car class are primarily price motivated and they can step into one of the three models named earlier from $15,799 to $15,995. 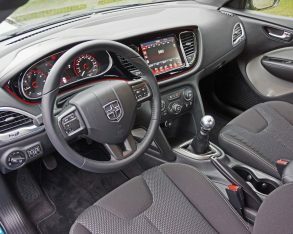 What’s more I’m only five-foot-eight and therefore wouldn’t have a problem if the Dart’s front seating area wasn’t the largest in the segment, but I’ve listened to others grumble, and similarly I’ve only sat in the back seat for a few moments at a time while taking notes and noticed that it seems a bit smaller than some others in this class, but once again I can’t complain as far as roominess and outward visibility due to my smaller size, but others do. 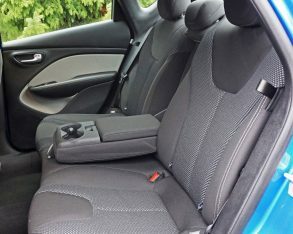 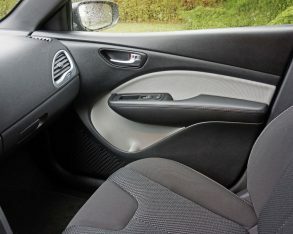 I actually found it quite comfortable back there, with good lower back support and the convenience of a fold-down centre armrest featuring a lidded compartment and twin cupholders. 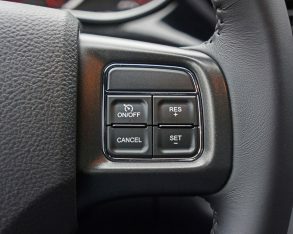 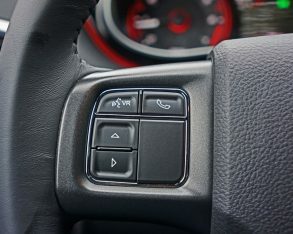 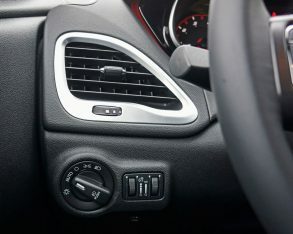 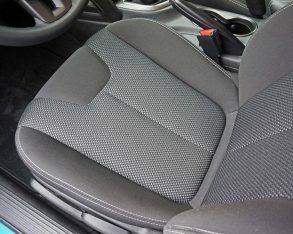 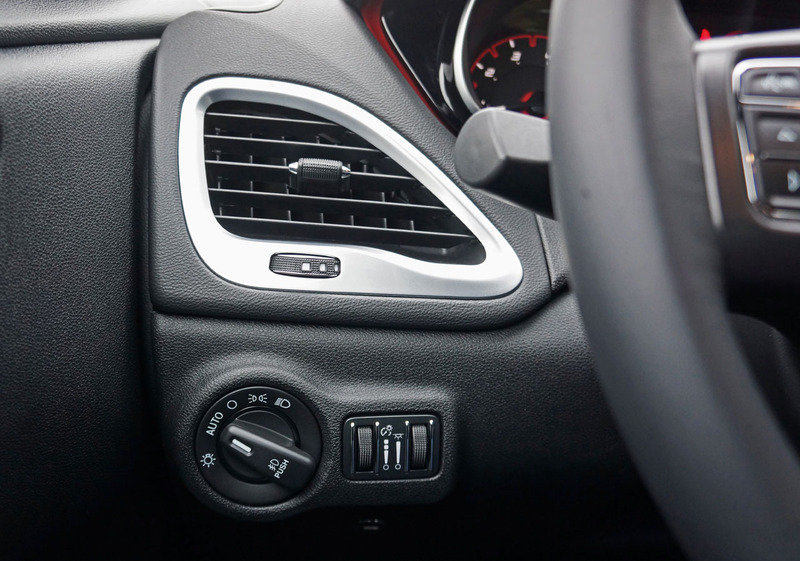 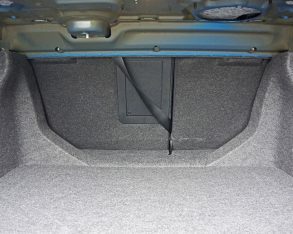 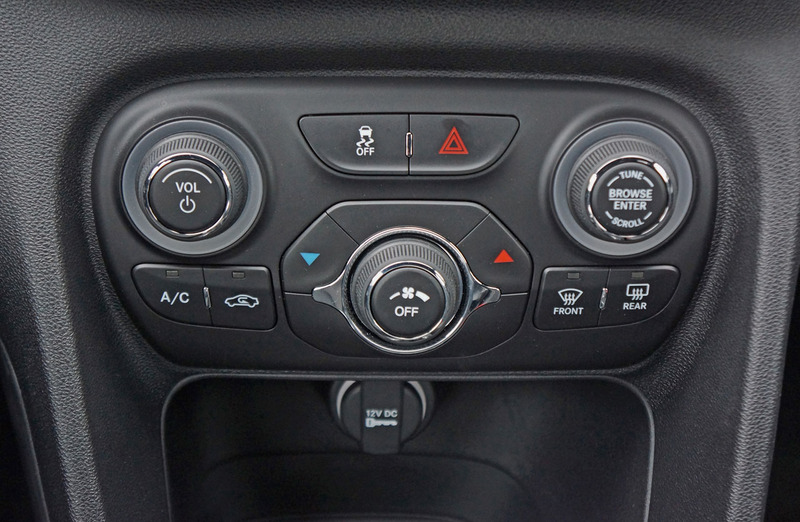 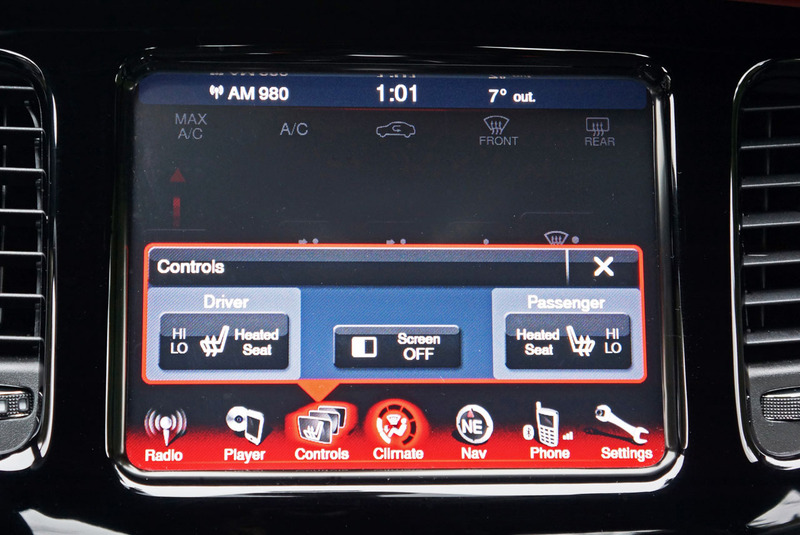 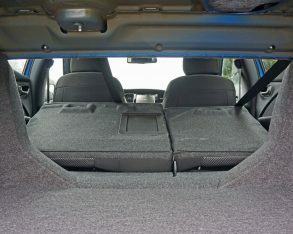 some rivals even offer rear seat heaters, while others are sporting more soft-touch surfaces and upping the content quotient to include proximity-sensing access with pushbutton ignition, dual-zone auto climate control, and forced ventilation for the front seats, but these features are only in top line trims that don’t sell as well. 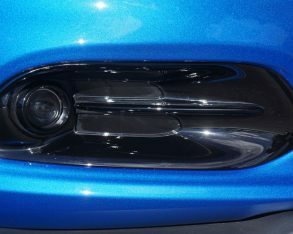 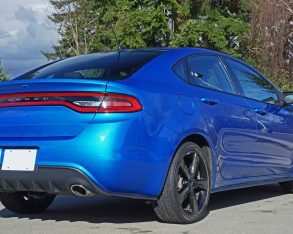 After all, the base Dart comes with all the features noted plus bifunctional halogen projector headlamps, LED taillights, body-colour powered mirrors, tilt and telescopic steering, a block heater, tire pressure monitoring, 10 airbags and much more, while the just-above-base Dart SXT gets the larger engine, 16-inch alloys, auto on/off headlamps, body-colour door handles, upgraded LED racetrack taillights, steering wheel-mounted audio and cruise controls, air conditioning, Bluetooth streaming audio, a six-speaker stereo, illuminated vanity mirrors, upgraded cloth upholstery, 60/40 split-folding rear seatbacks with a centre pass-through expanding on an already accommodating 371-litre (13.1 cubic-foot) trunk, a security alarm and more. 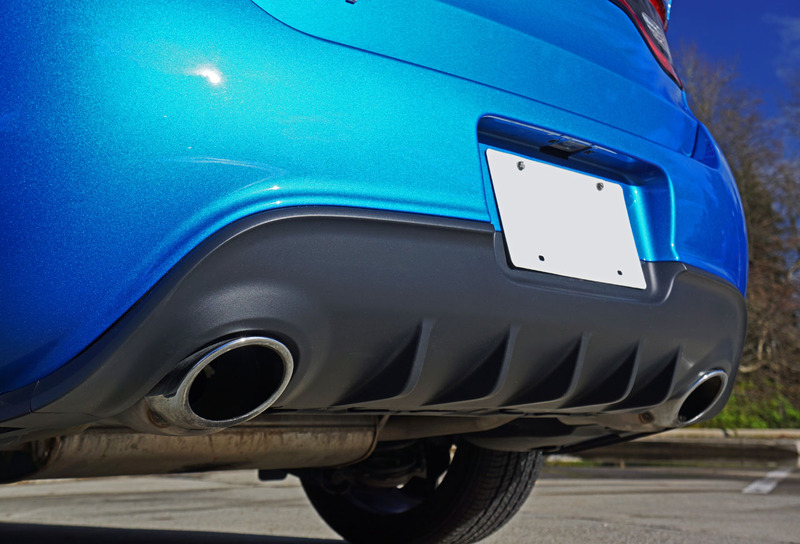 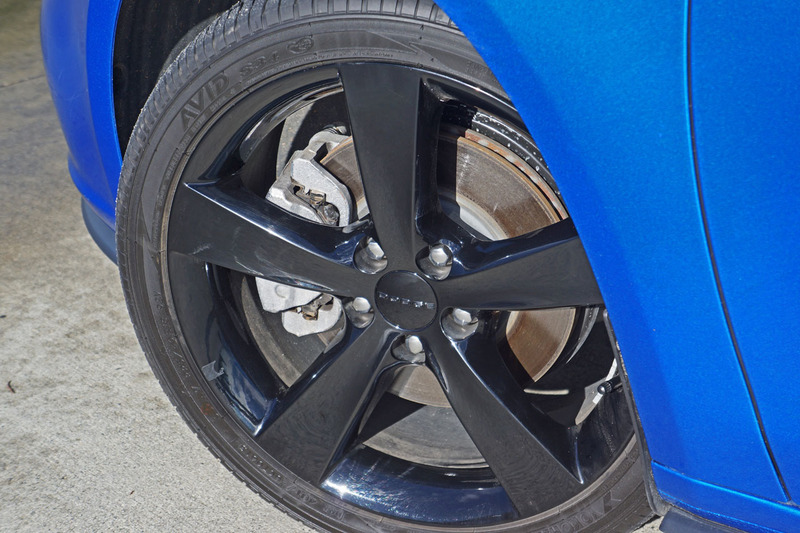 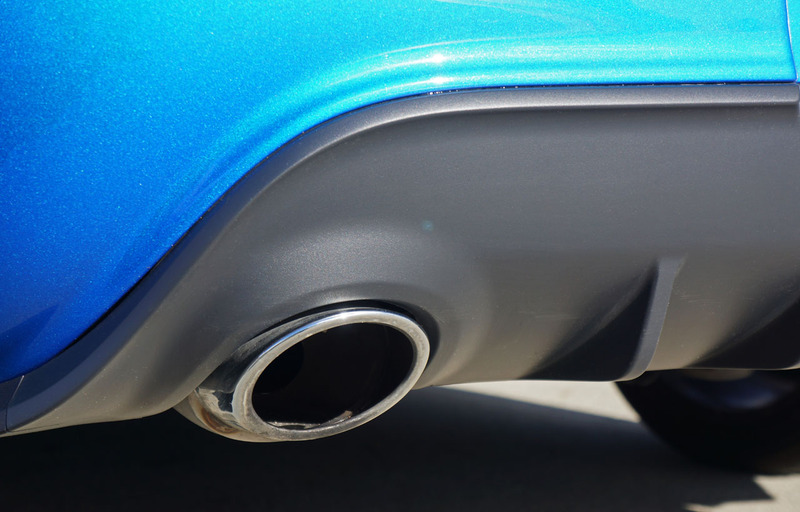 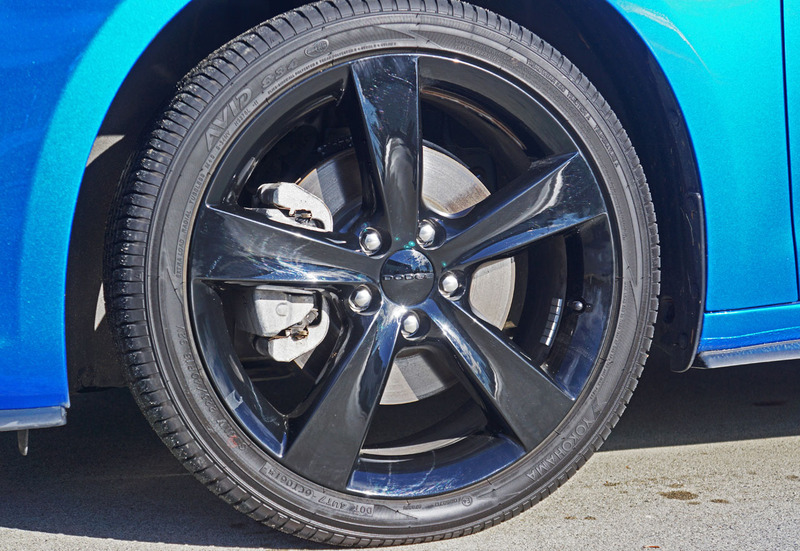 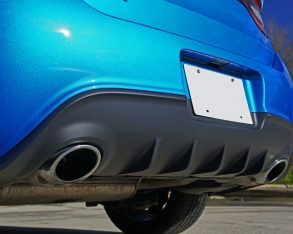 exhaust pipes come with or without the racy upgrade, another Blacktop improvement, while the Blacktop upgrades continue with a rear stabilizer bar, a tweaked Touring suspension, and a leather-wrapped steering wheel inside. 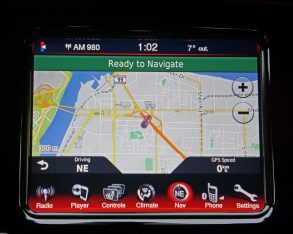 infotainment screen in the compact biz at 8.4 inches in diameter, along with a useful rearview camera, a remote USB, iPod control, a glove box lamp, and a really cool illuminated instrument panel surround. 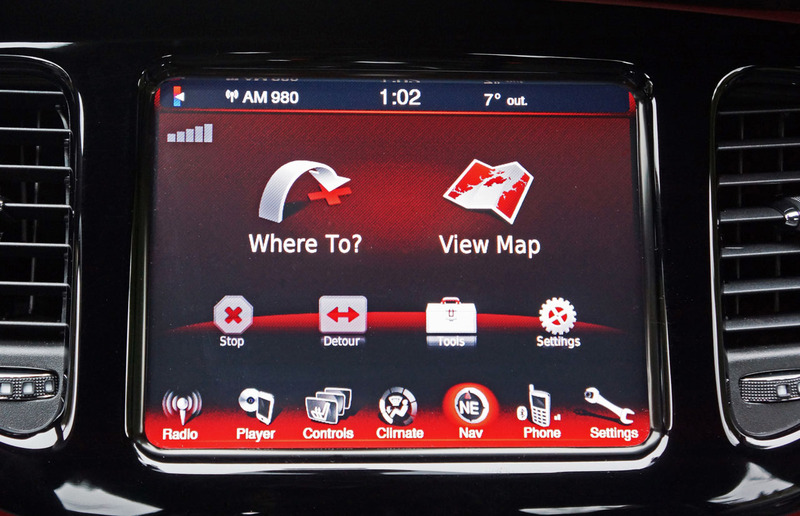 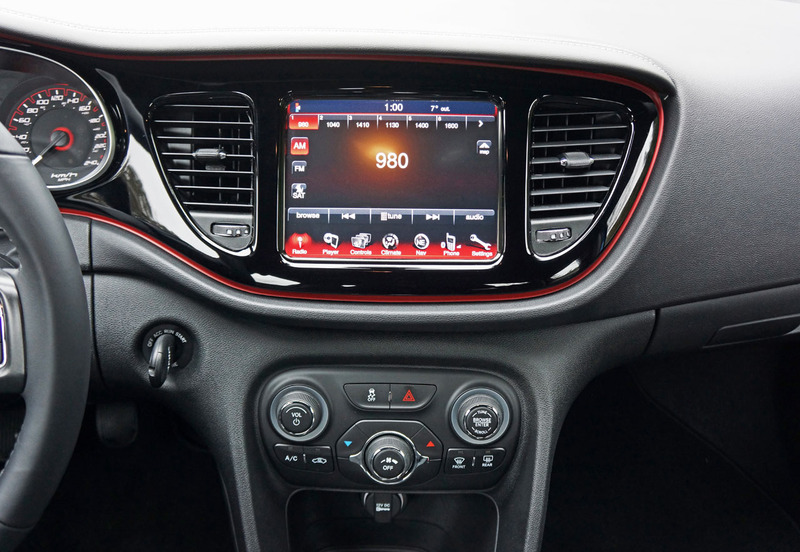 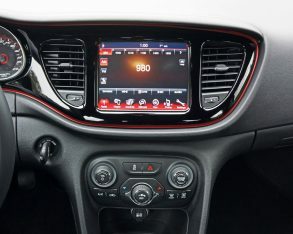 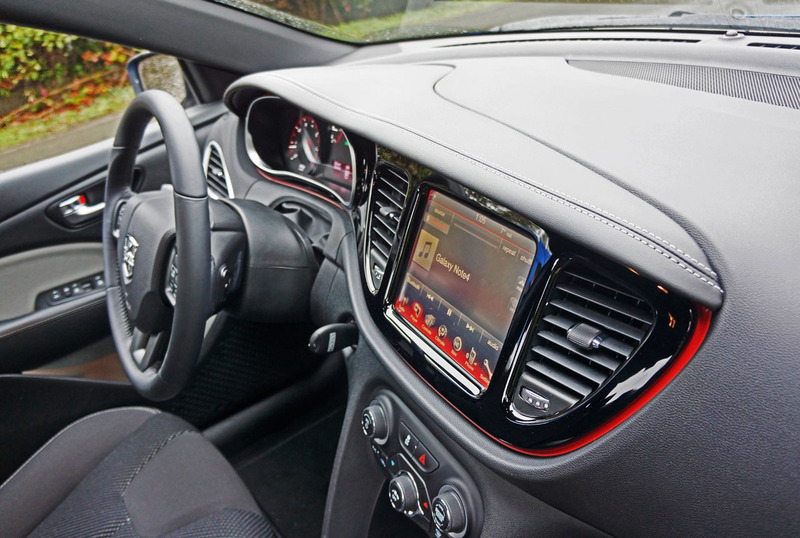 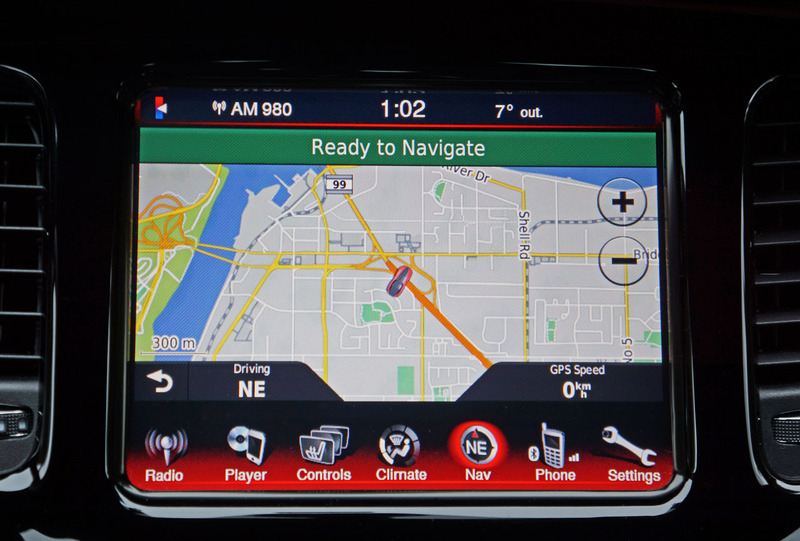 On top of this my car’s infotainment system was upgraded with $525 worth of TomTom navigation, and you’ll have a hard time finding a better, easier to use GPS system than this. 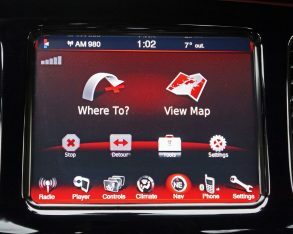 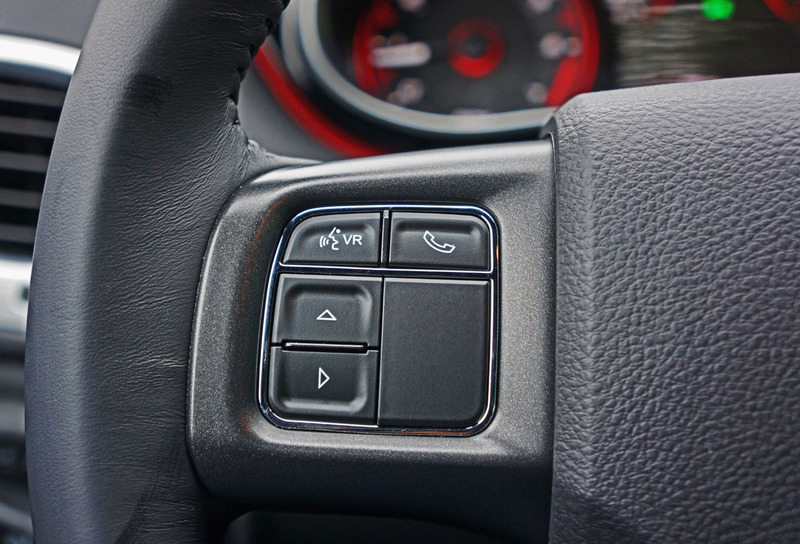 that material even wrapping all the way around the infotainment controls as well as around the left side of the primary gauges. 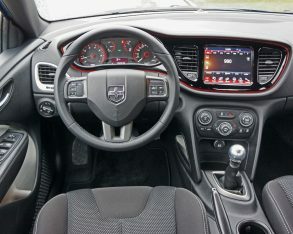 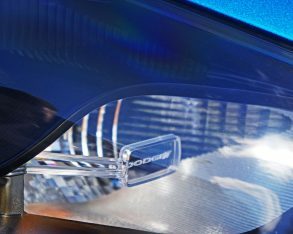 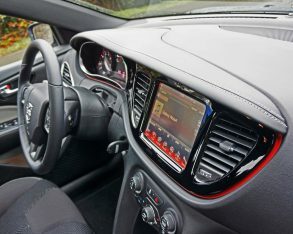 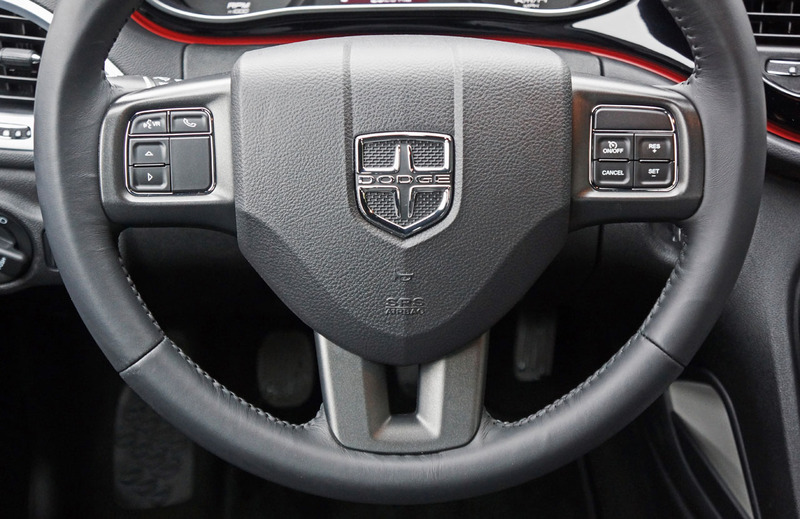 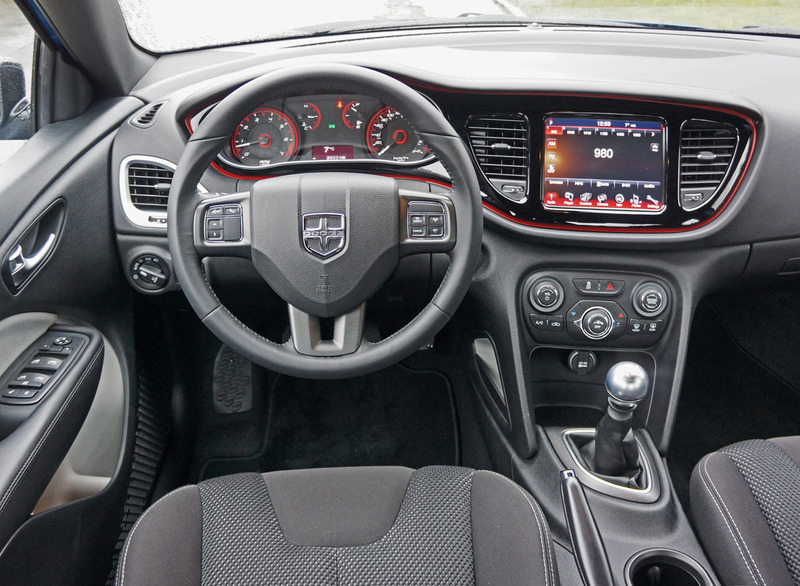 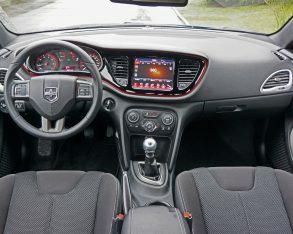 What’s more, Dodge even goes so far as to cover the one-piece gauge hood/infotainment hood in a contrasting French-stitched leatherette that looks and feels very upscale. 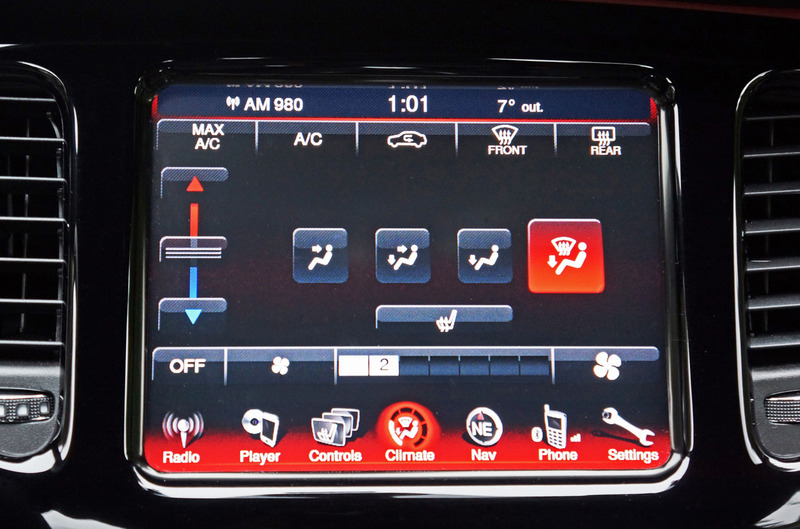 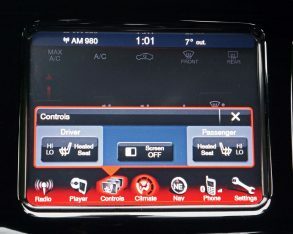 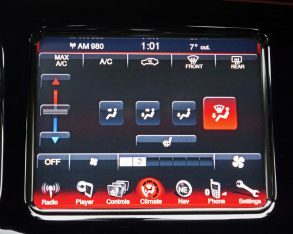 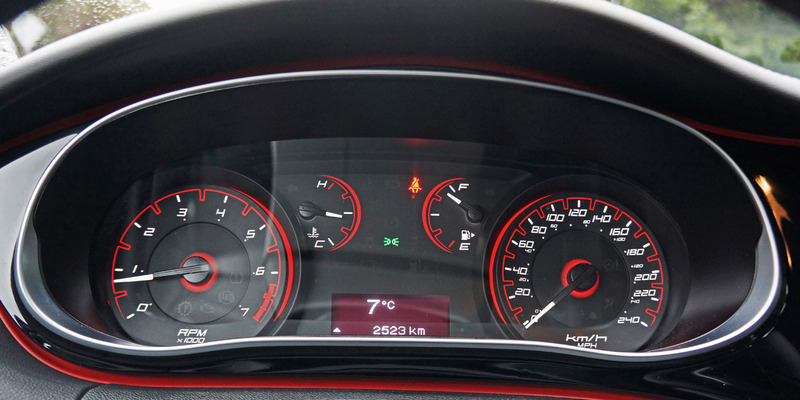 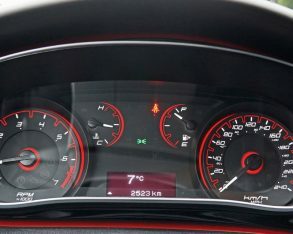 The outside of that primary gauge/centre stack cluster is circled by a unique red racing line similar to the racetrack taillights, adding to the Dart’s unique character, while the large VOL and BROWSE/ENTER/TUNE/SCROLL dials on the centre stack get matching backlit red rings around their backsides. 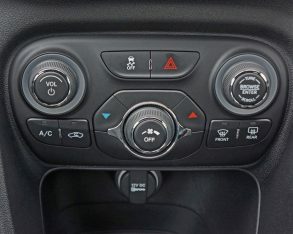 On that note, all the dials are large and easy to actuate with rubber surrounds for a nice feeling easy grip, plus their quality, along with the quality of all the other switchgear, is quite good. 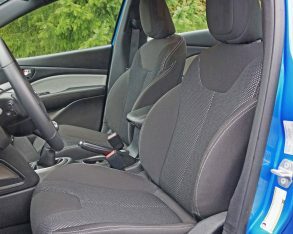 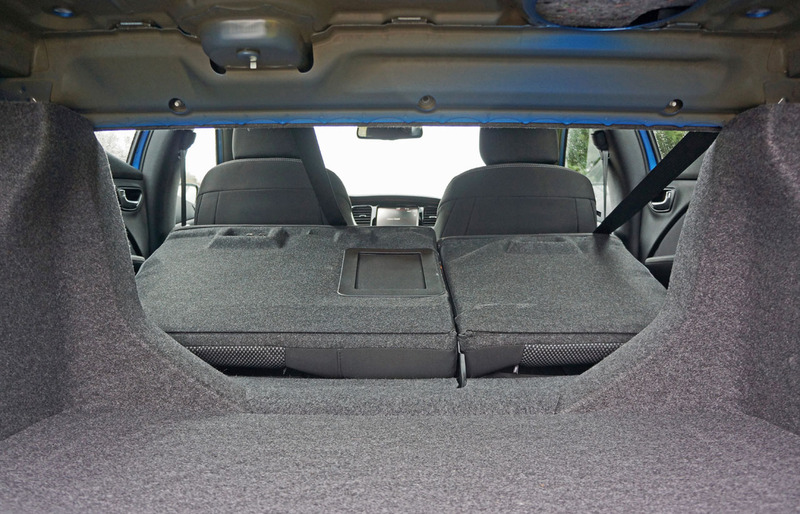 each panel, which is quite nice looking, whereas the woven grey cloth inserts are padded from behind and attractive too, the leatherette door armrests are also nicely padded and stitched, plus large pockets down below accommodate water bottles and other items. 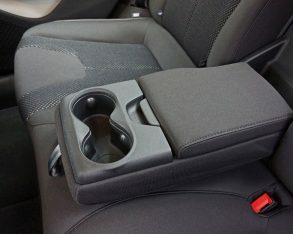 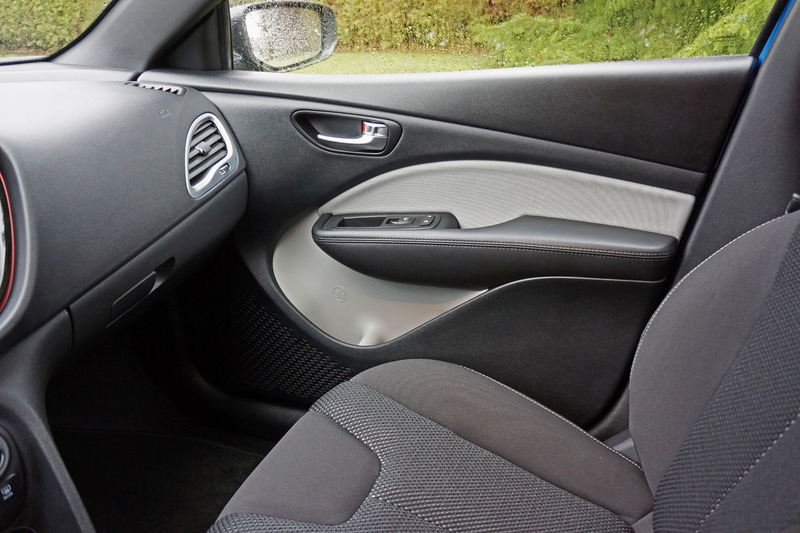 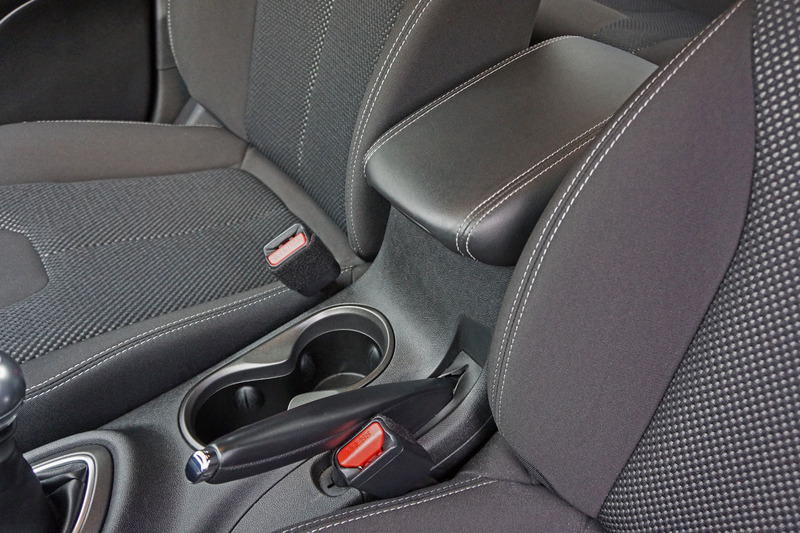 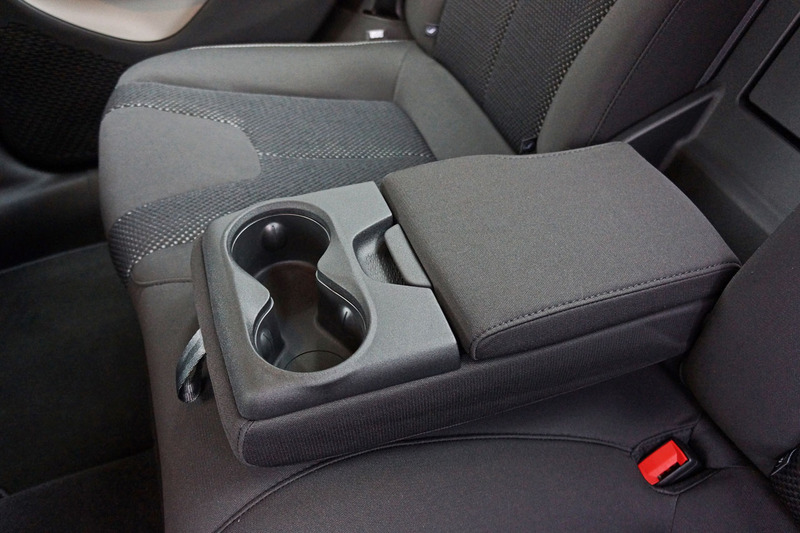 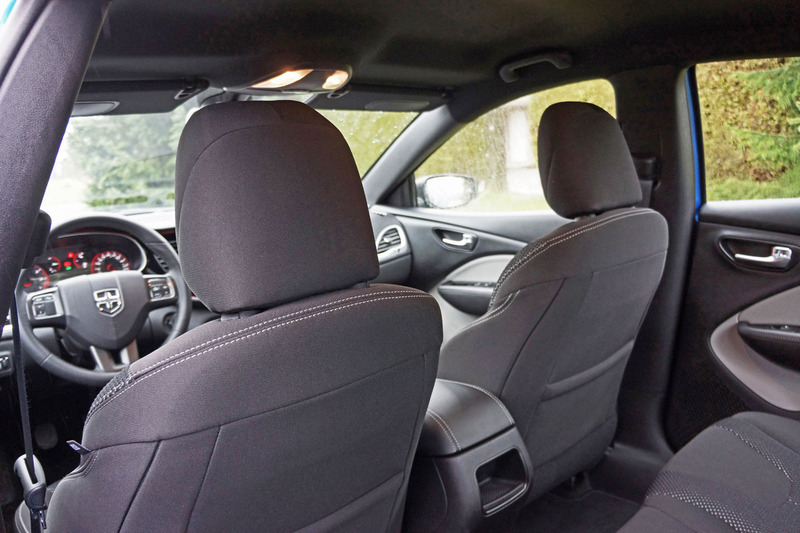 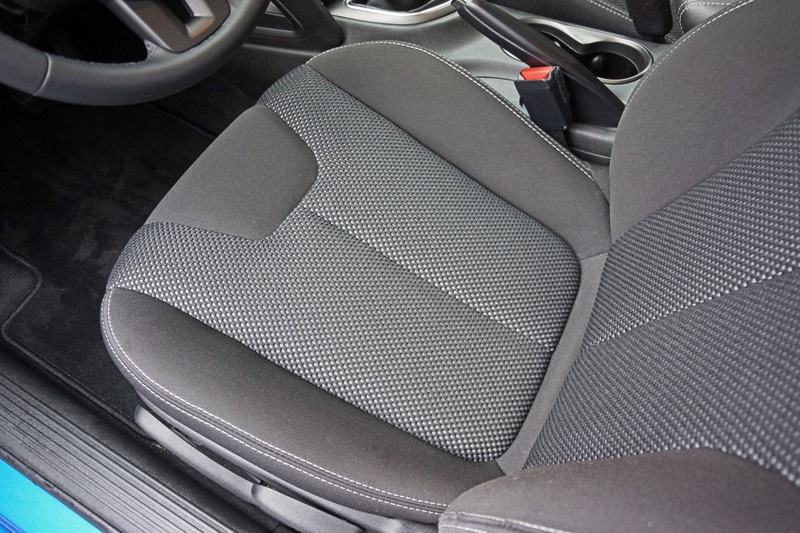 The centre armrest is covered in leatherette too, albeit contrast stitched, while it opens up to a large bin featuring a 12-volt charger, aux plug and USB port. 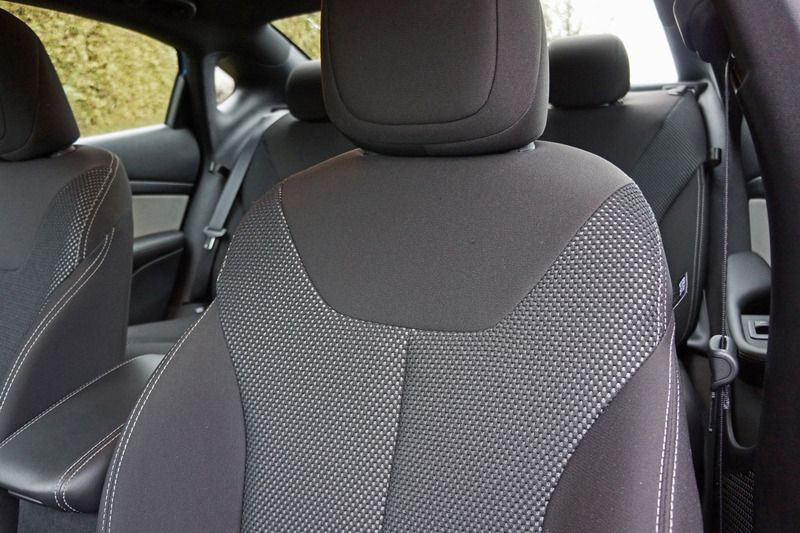 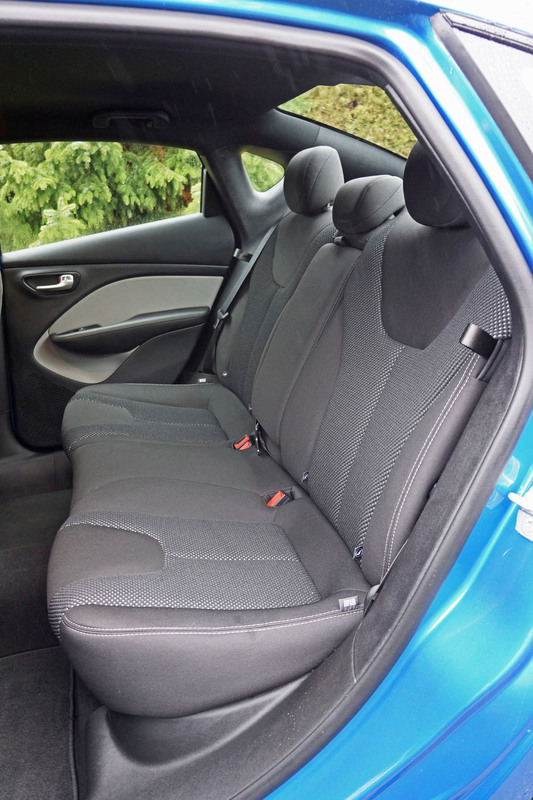 More important than all the rest my tester’s upgraded seats were very comfortable and wonderfully supportive, while finished with a textured fabric in the middle and a woven cloth on the outside, plus nice contrast stitching all-round. 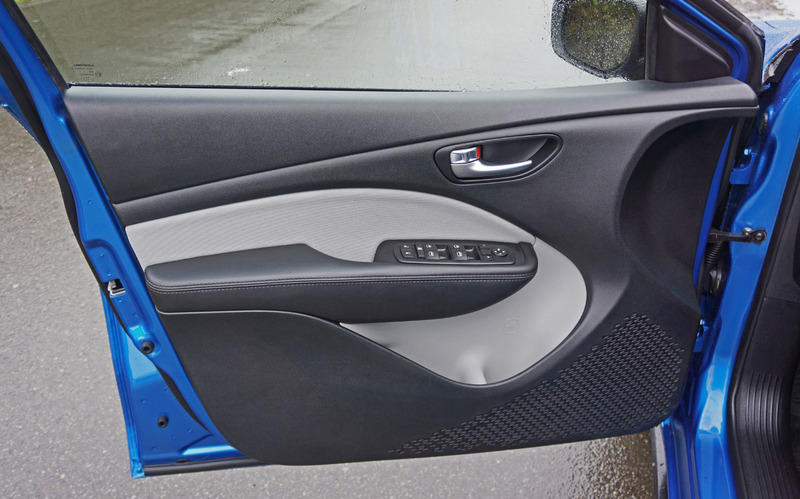 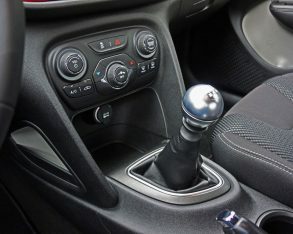 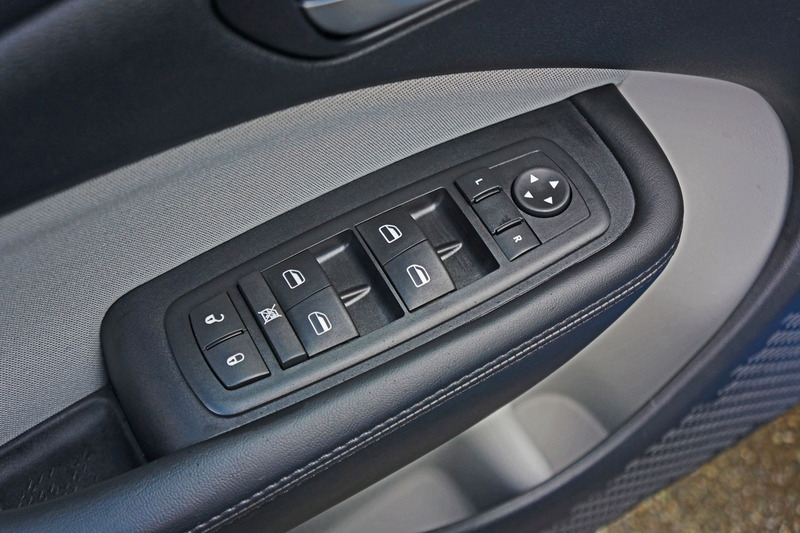 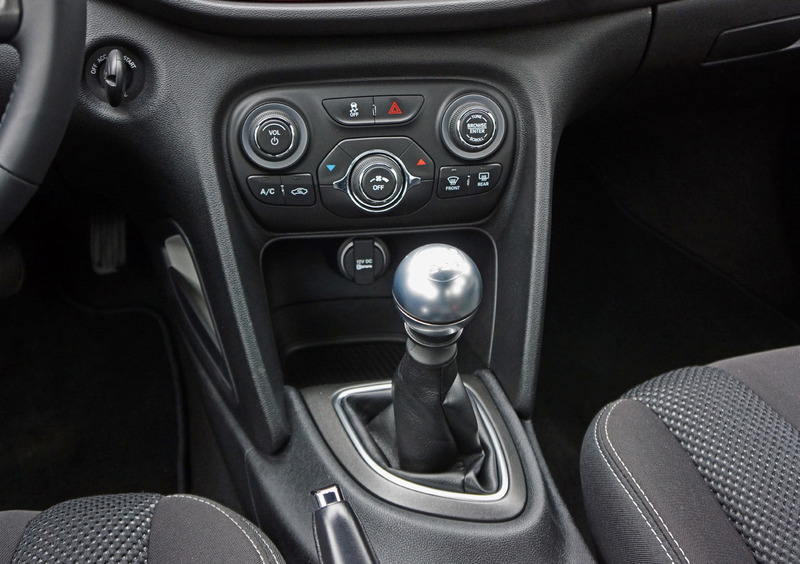 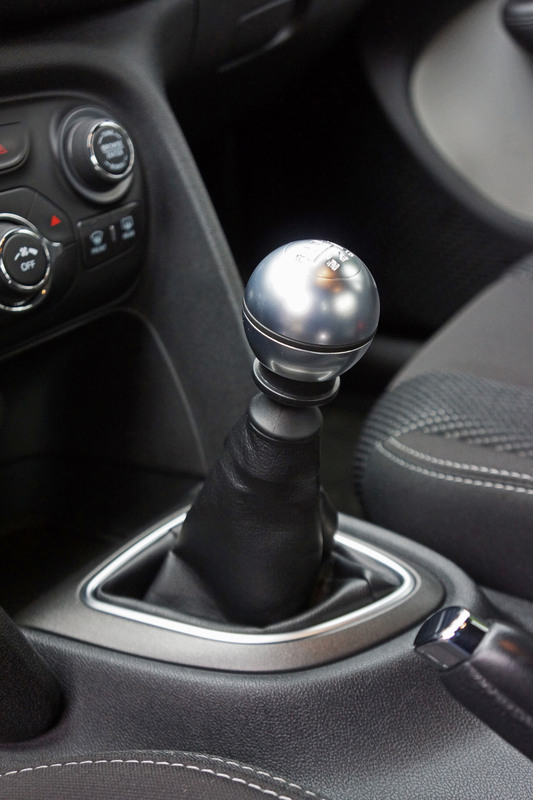 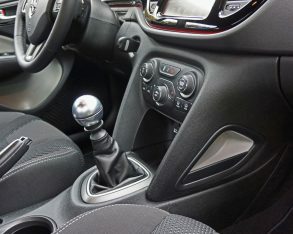 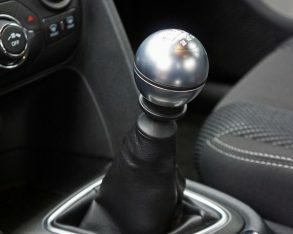 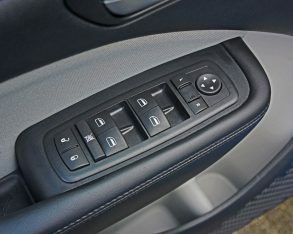 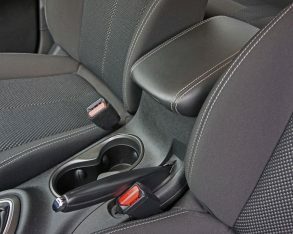 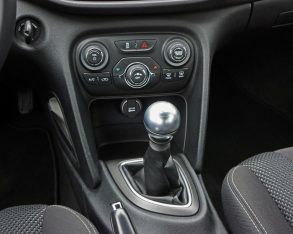 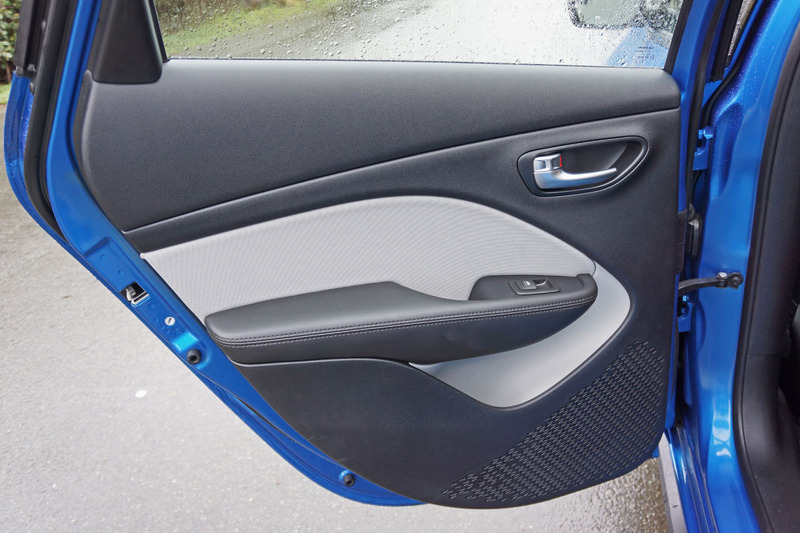 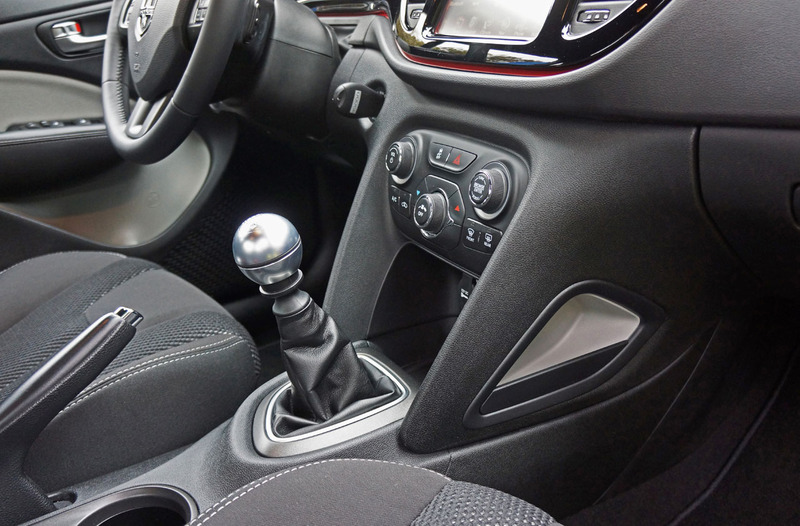 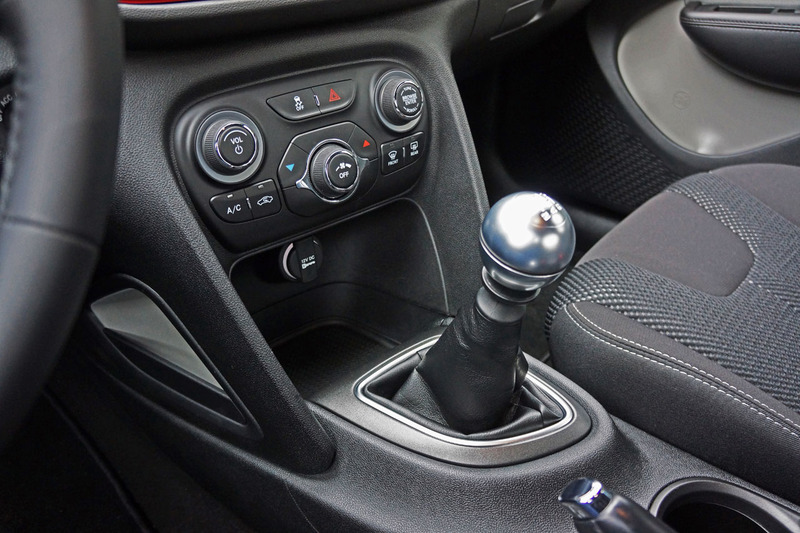 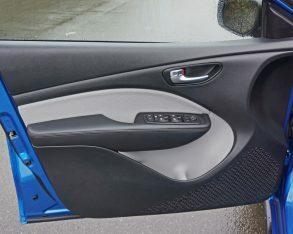 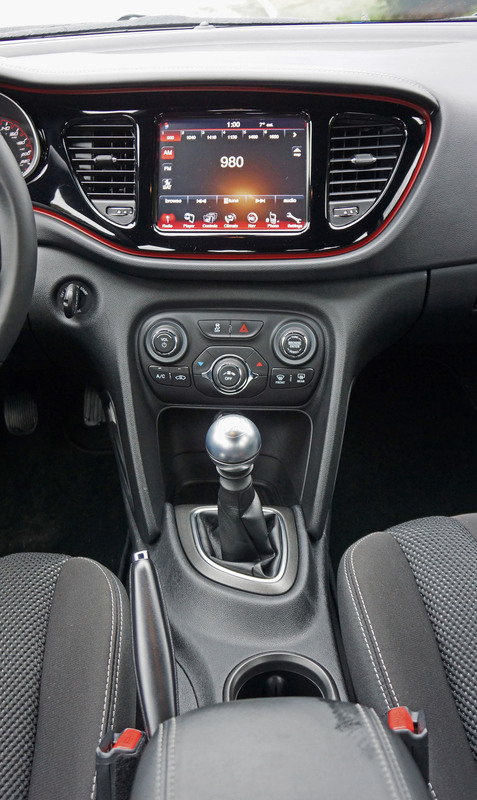 and inner door handles that matched the aluminum shifter knob noted earlier, as well as the shifter surround just below. 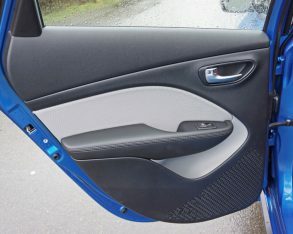 Additional chrome highlights can be found elsewhere throughout the interior for a classy look, while an always welcome padded sunglasses holder rested overhead. 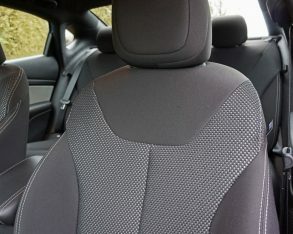 Mercedes Benz, or any other producer of direct-injected anything offers. 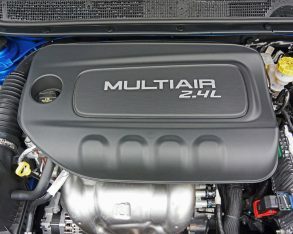 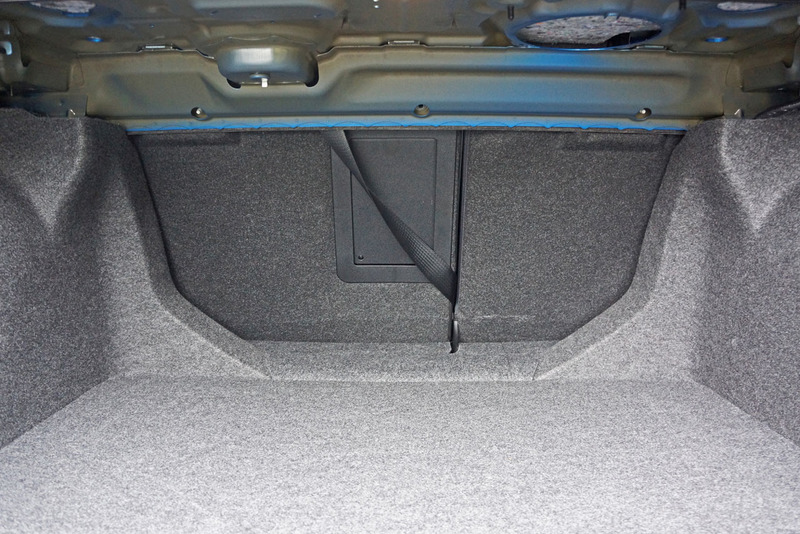 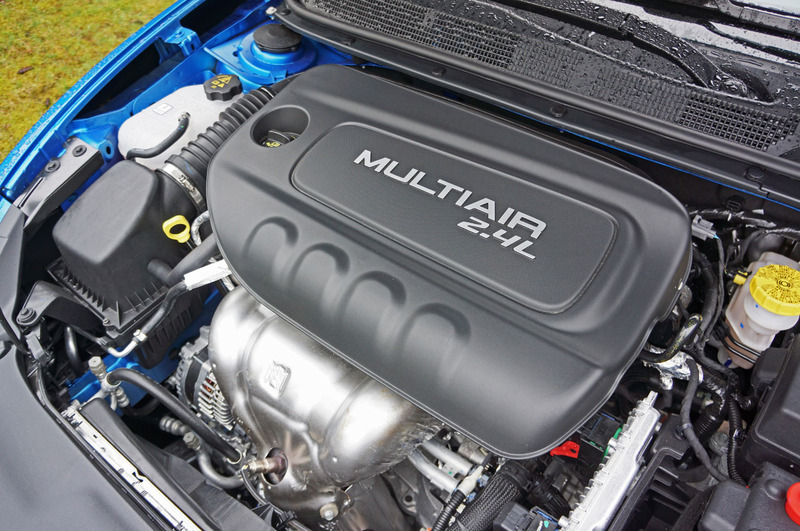 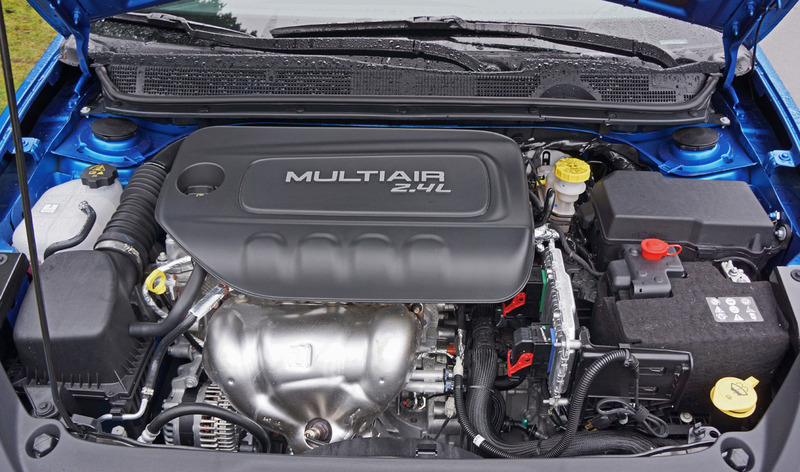 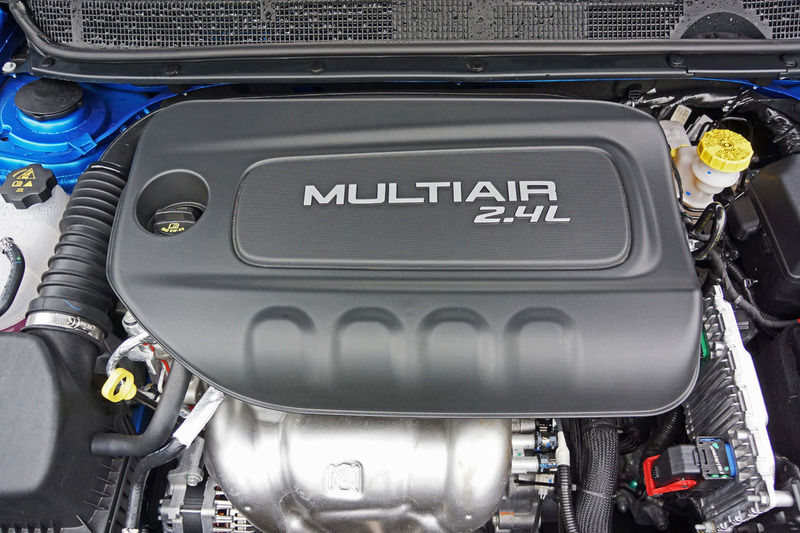 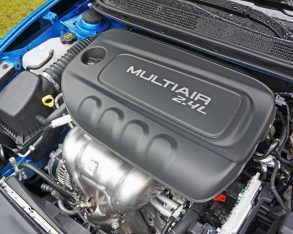 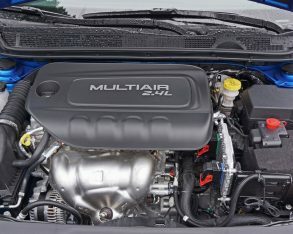 Don’t get me wrong, as I’m a proponent of direct-injection for its performance and fuel economy benefits, but MultiAir manages to deliver all the benefits of DI without the carbon buildup issues and with a much better audio track. 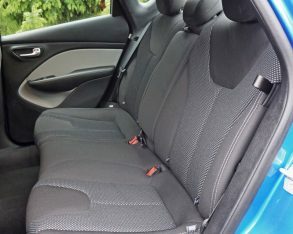 delivering a nice compliant ride that’s ideal for long distance travel. 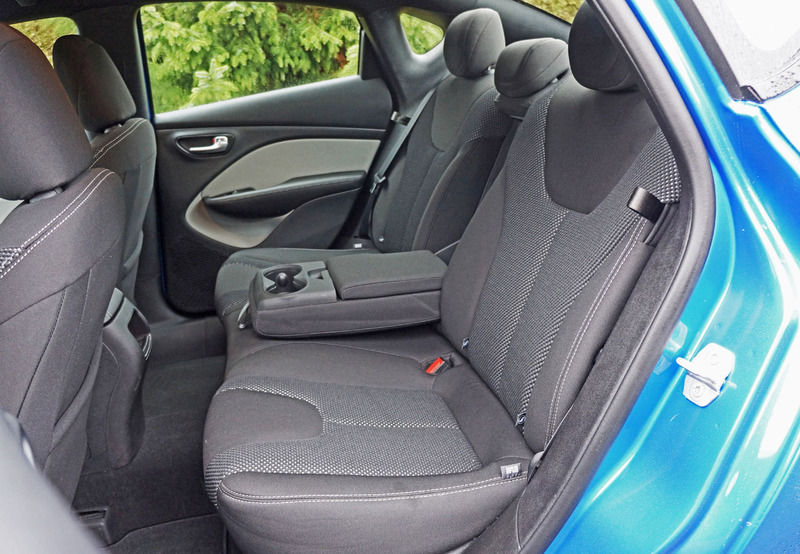 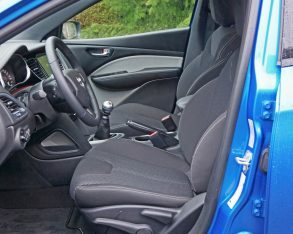 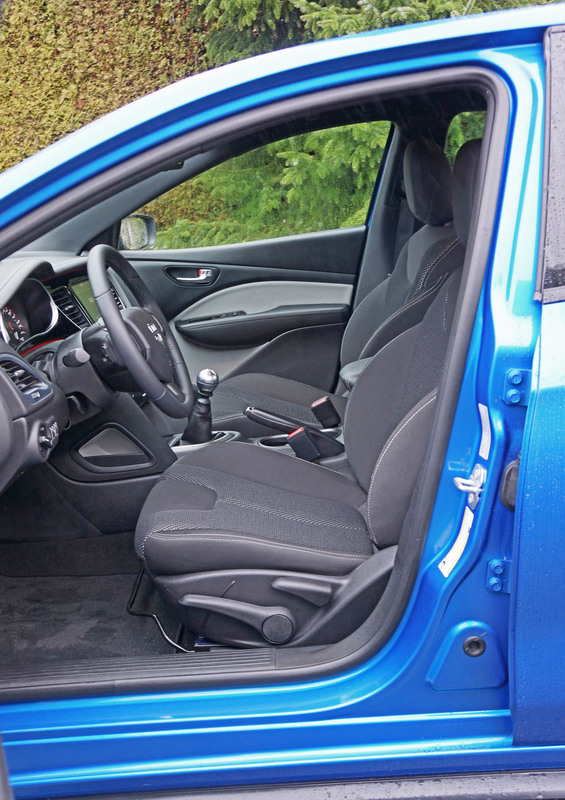 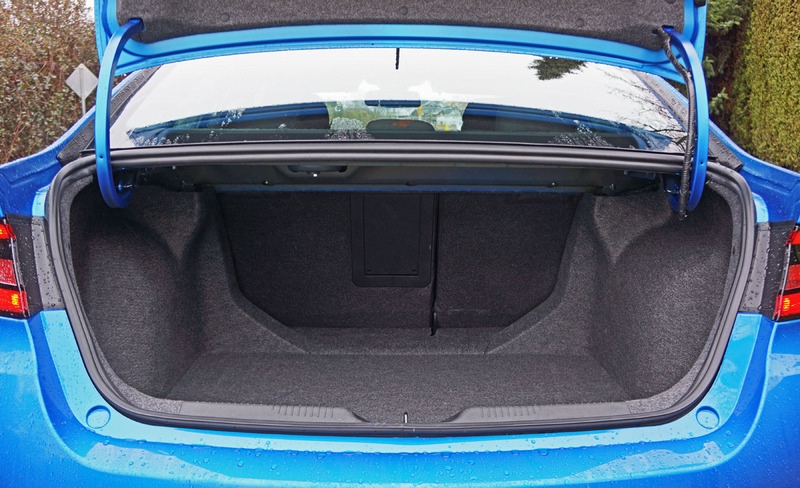 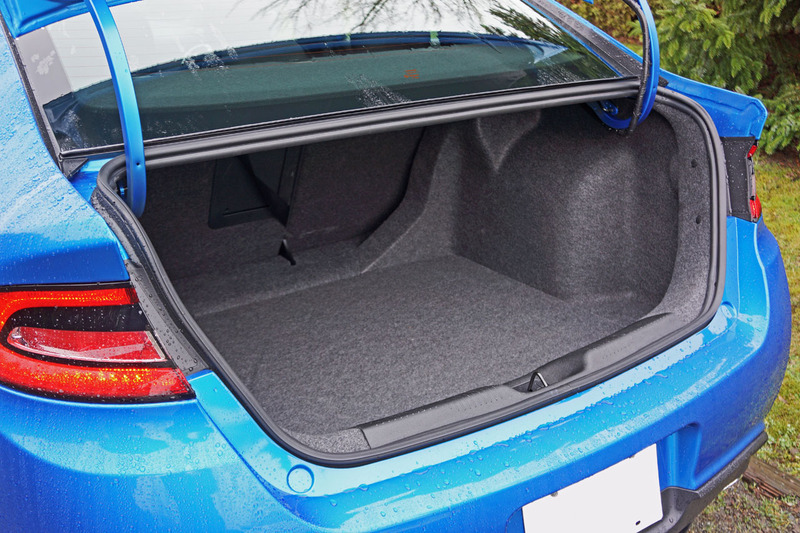 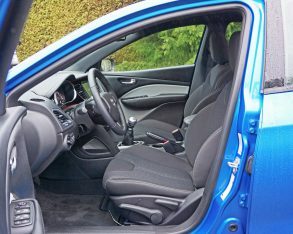 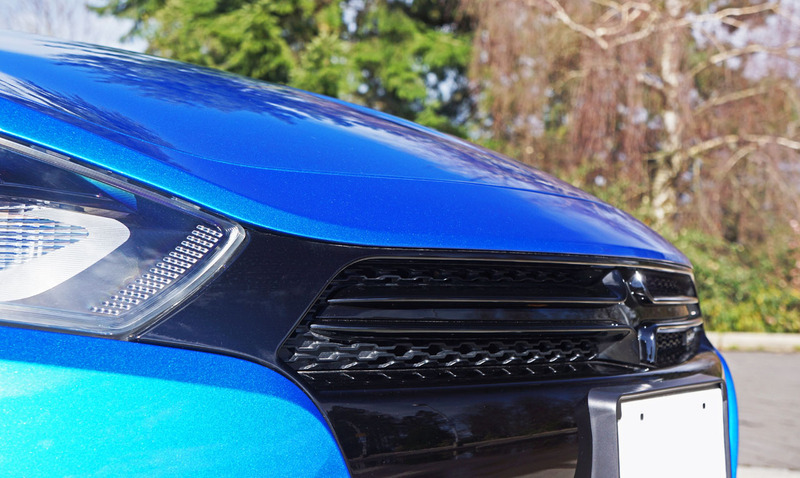 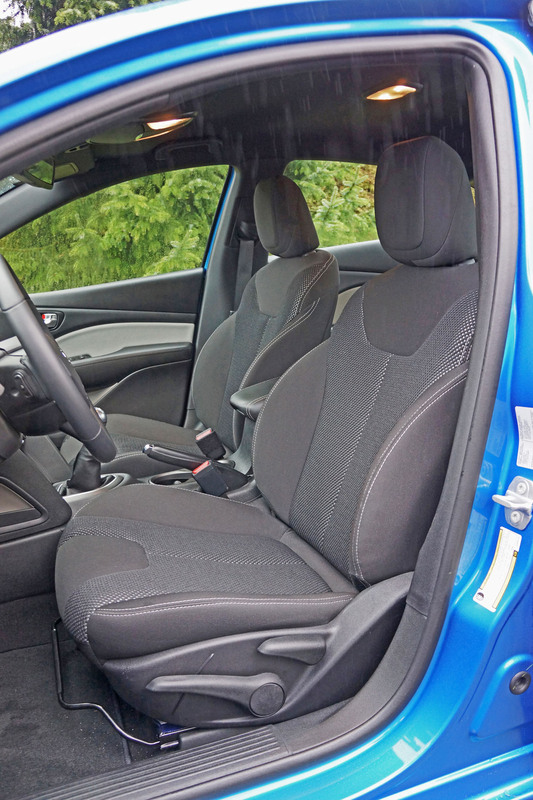 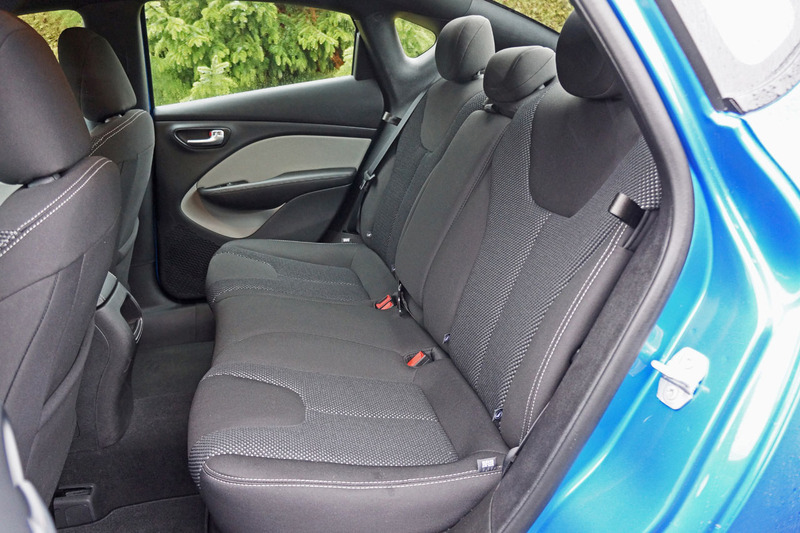 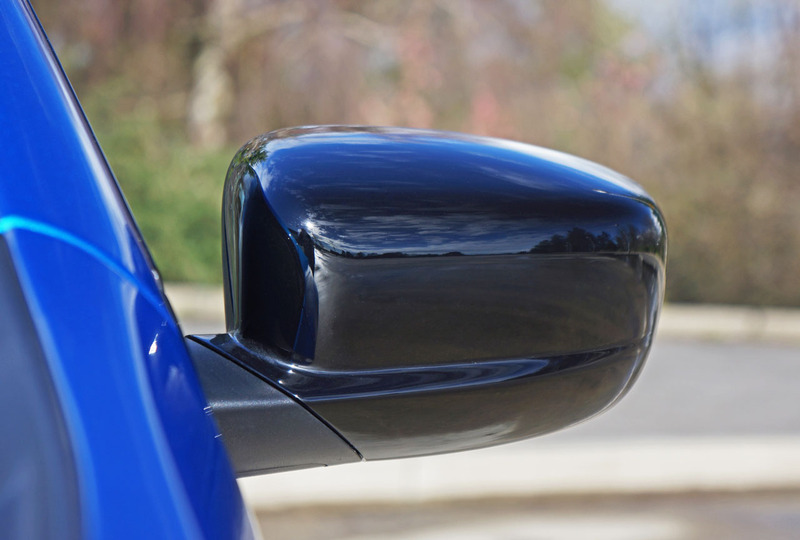 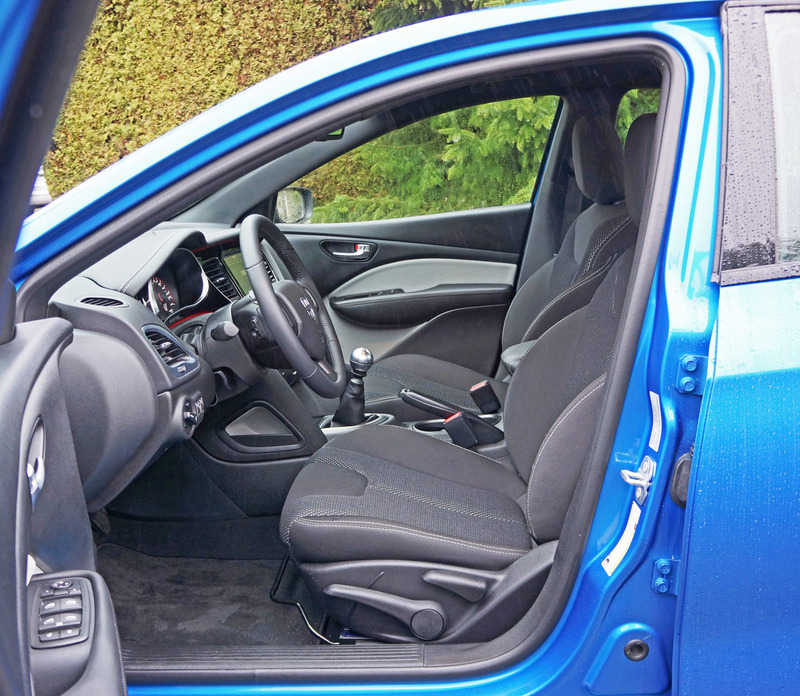 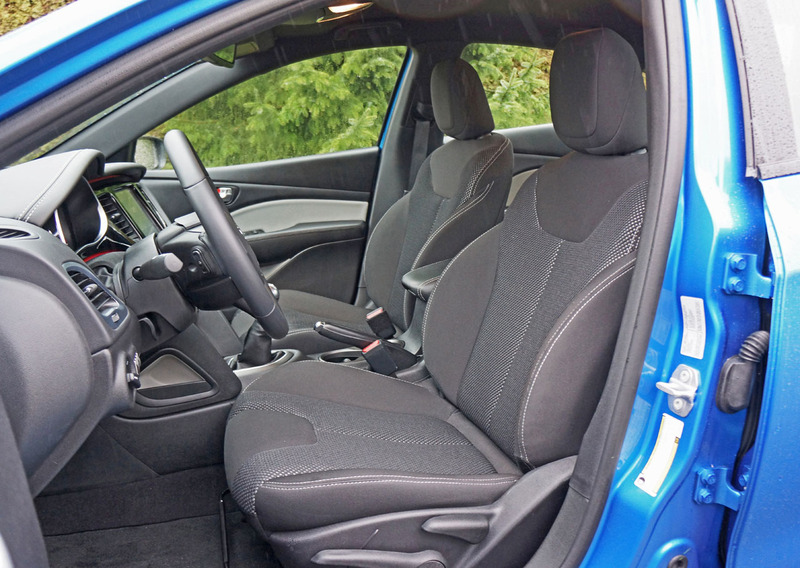 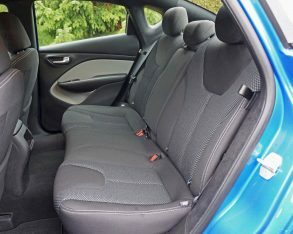 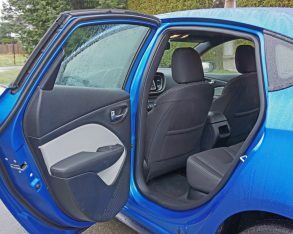 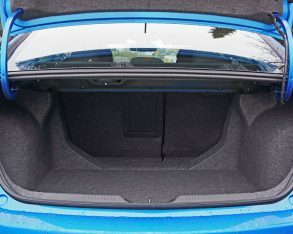 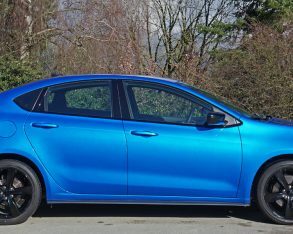 While great from an enjoyment perspective, road holding is also important for avoiding accidents and to this end the Dart is one of the safer cars in its class. 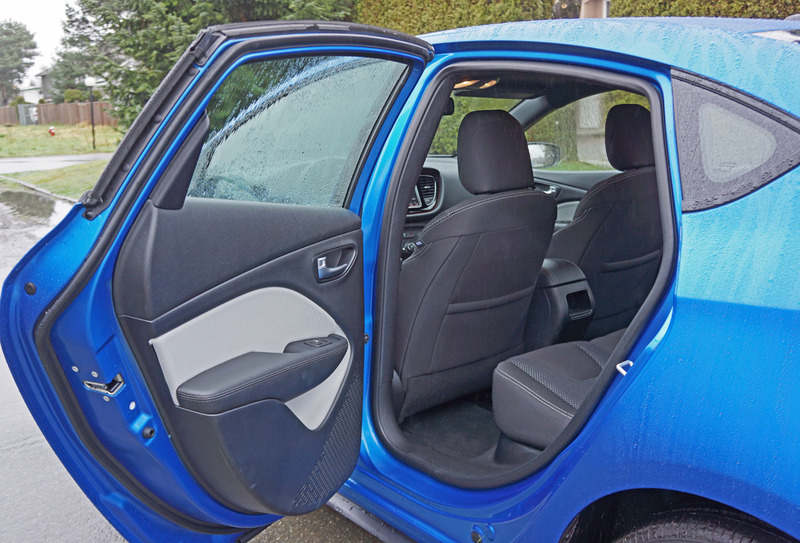 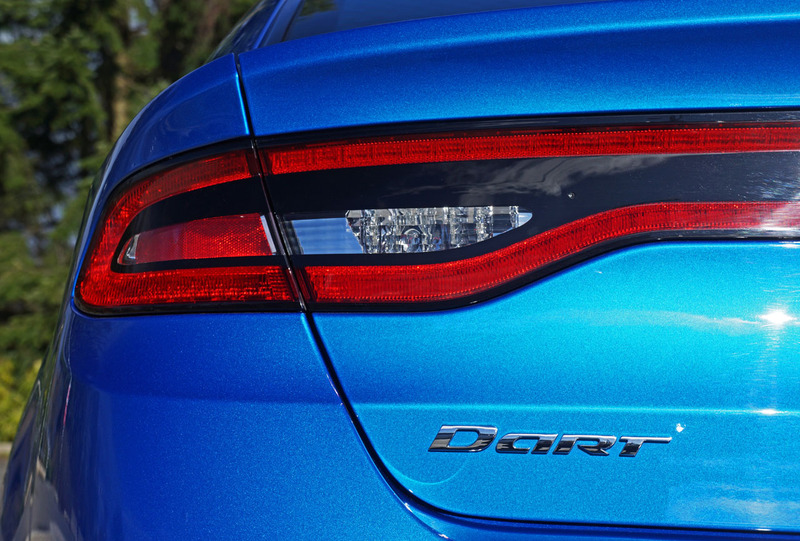 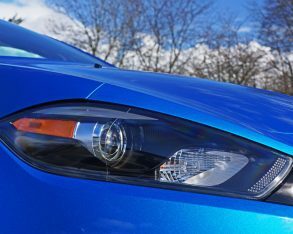 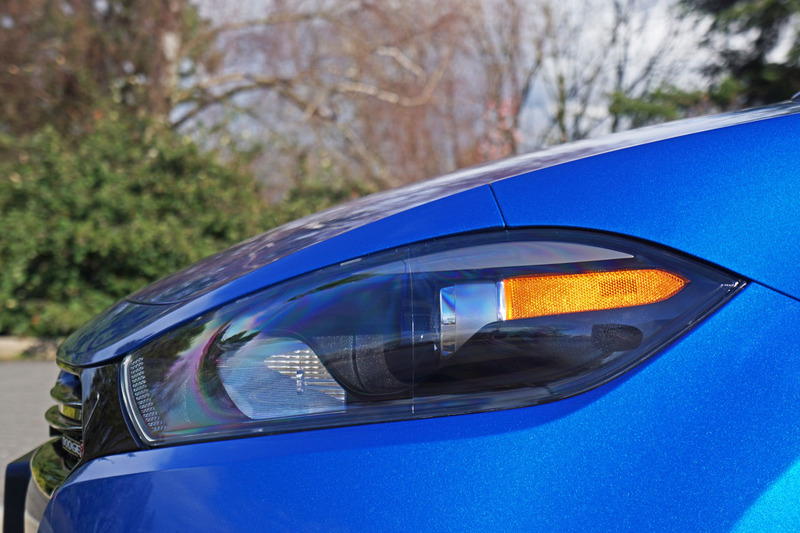 Unfortunately the NHTSA and IIHS don’t safety test cars for such active elements, but the Dart nevertheless fares very well with a top five-star rating from the former and a 2015 Top Safety Pick from the latter. 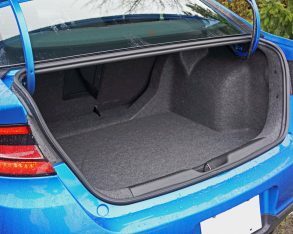 if the price of crude goes up again or you live in Vancouver where pump prices haven’t been all that affected by the drop. 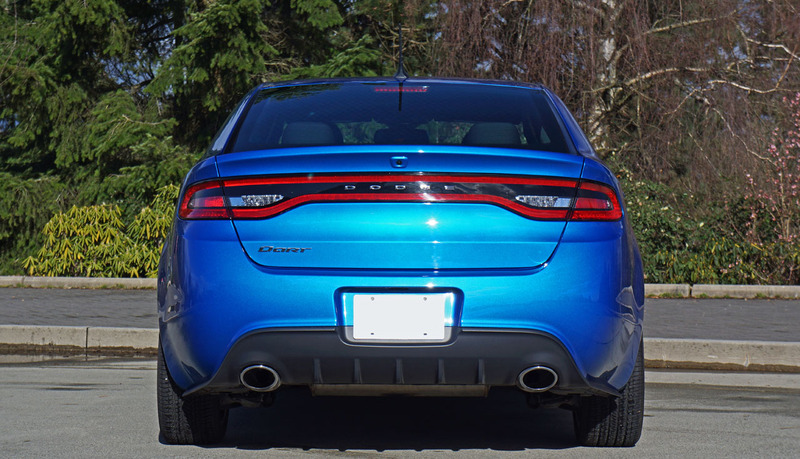 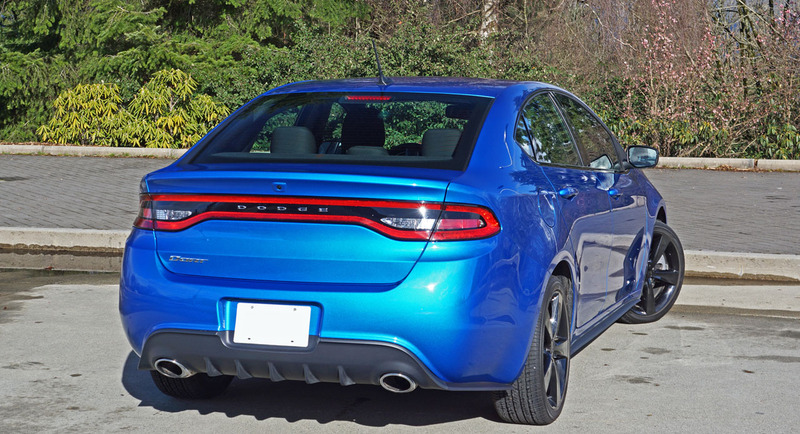 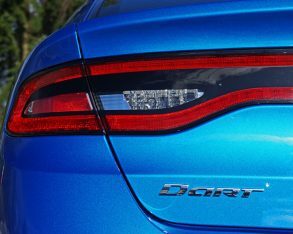 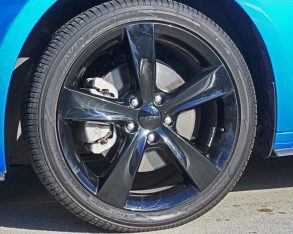 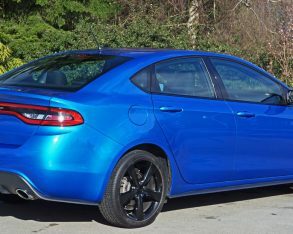 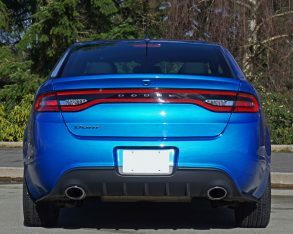 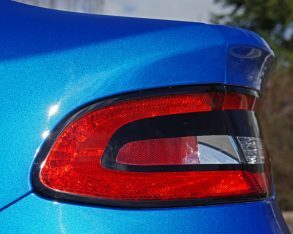 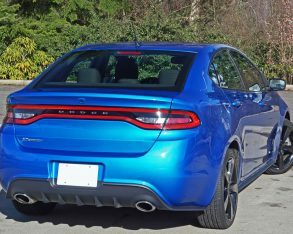 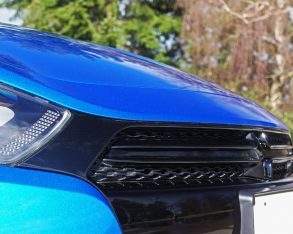 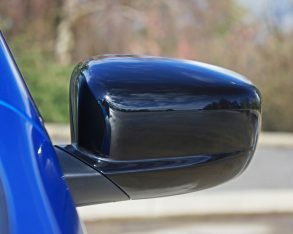 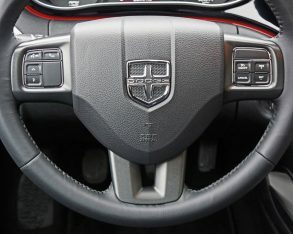 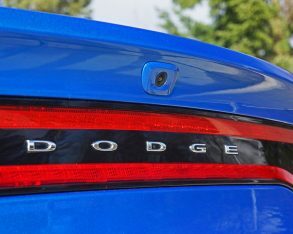 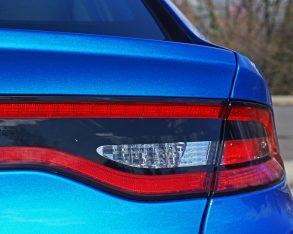 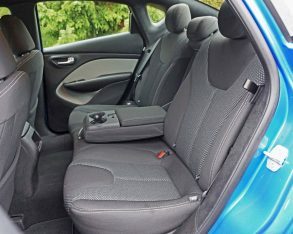 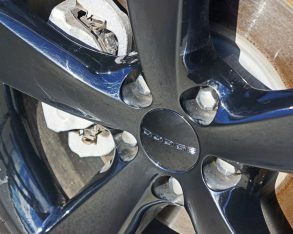 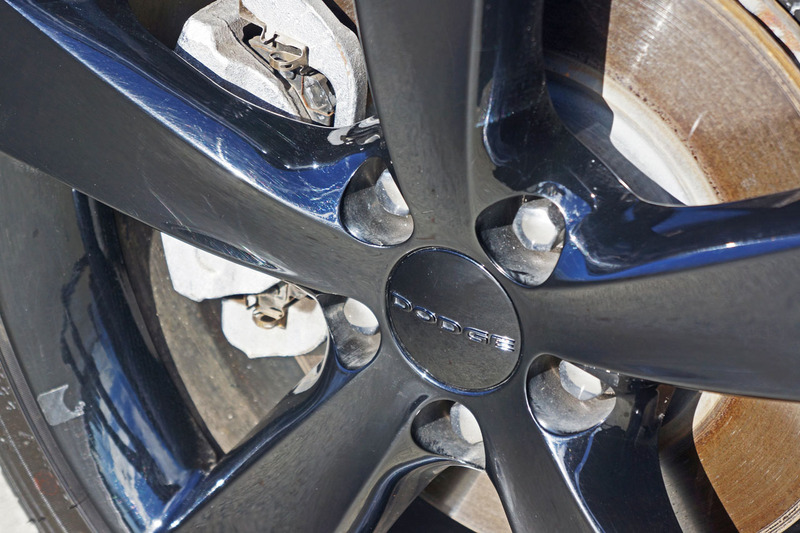 Additionally, you may have heard that the Dart was plagued with reliability issues, a problem with the initial 2013 model for sure, but 2014, 2015, and so far 2016 Darts have been quite reliable with nowhere near as many complaints, FCA obviously ironing out any defects experienced with the fledgling first-year model. 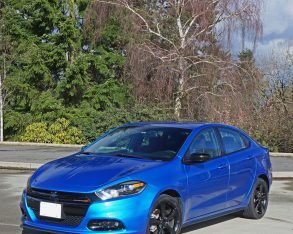 As you can probably tell I’m personally disappointed that FCA is giving up on this great little car, especially now that most of the bugs seem to be exorcised from within. 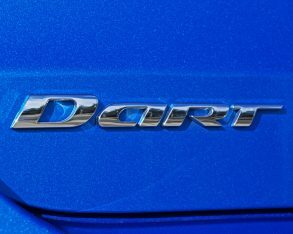 It’s no secret that I enjoyed every moment with it, but I can probably give more credence to this statement if you also knew that I had a pack of premium branded D-segment compacts at my disposal during the Dart’s test week, from Germany, Japan and the U.S, and spent more time in this little Dart SXT Blacktop than any of the others. 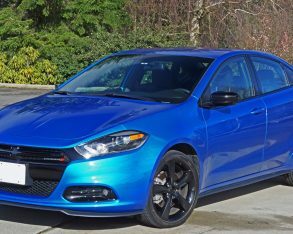 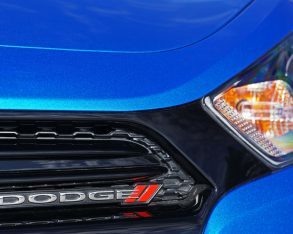 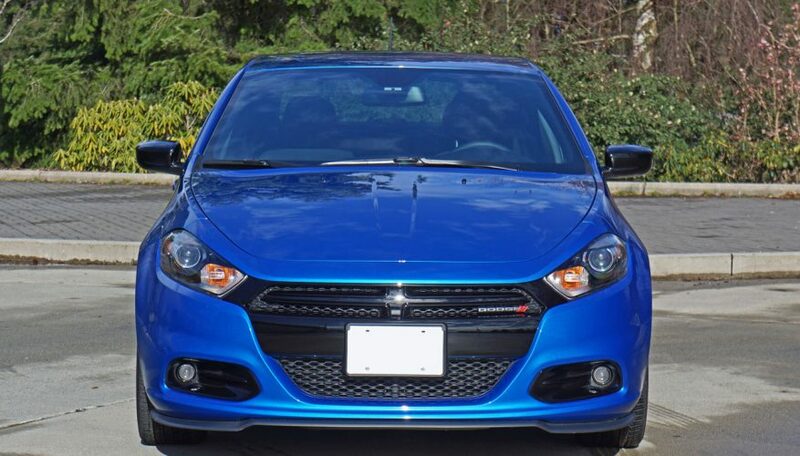 Truly, the Dodge Dart is a superb little car that deserves at least 10 times the sales it’s receiving, so take advantage of this fact and check it out before it’s gone, as I’m sure your local FCA dealer will only be too happy to reward your interest with a healthy discount.